Back-Up Camera, Alloy Wheels, Tow Hitch, Smart Device Integration, Onboard Communications System, iPod/MP3 Input, TRANSMISSION: TORQSHIFT-G 6-SPD AUTO.. XLT trim, Magnetic Metallic exterior and Medium Earth Gray interior AND MORE! KEY FEATURES INCLUDE Back-Up Camera, iPod/MP3 Input, Onboard Communications System, Trailer Hitch, Aluminum Wheels, Smart Device Integration. MP3 Player, Satellite Radio, Privacy Glass, Steering Wheel Controls, Heated Mirrors. OPTION PACKAGES XLT VALUE PACKAGE Reverse Sensing System, SecuriCode Driver's Side Keyless Entry Keypad, Fog Lamps, 8-Way Power Driver's Seat, Autolock/Auto Unlock, Power-Adjustable Pedals, PLATFORM RUNNING BOARDS, SPARE TIRE, WHEEL, CARRIER & JACK, REVERSE SENSING SYSTEM, 110V/400W OUTLET Extra Heavy-Duty 200 Amp Alternator, ADJUSTABLE PEDALS, MAGNETIC METALLIC, ENGINE: 6.2L 2-VALVE SOHC EFI NA V8 FLEX-FUEL Flex-Fuel badge on fleet orders only (STD), ORDER CODE 603A, TRANSMISSION: TORQSHIFT-G 6-SPD AUTO W/SELECTSHIFT (STD). Ford XLT with Magnetic Metallic exterior and Medium Earth Gray interior features a 8 Cylinder Engine with 385 HP at 5750 RPM*. Approx. Original Base Sticker Price: $44,700*. WHY BUY FROM US At Shelor Motor Mile we have a price and payment to fit any budget. Our big selection means even bigger savings! Need extra spending money? Shelor wants your vehicle, and we're paying top dollar! Tax DMV Fees & $597 processing fee are not included in vehicle prices shown and must be paid by the purchaser. Vehicle information is based off standard equipment and may vary from vehicle to vehicle. Call or email for complete vehicle specific informatio Chevrolet Ford Chrysler Dodge Jeep & Ram prices include current factory rebates and incentives some of which may require financing through the manufacturer and/or the customer must own/trade a certain make of vehicle. Residency restrictions apply see dealer for details and restrictions. All pricing and details are believed to be accurate but we do not warrant or guarantee such accuracy. The prices shown above may vary from region to region as will incentives and are subject to change. Oxford White exterior and Medium Earth Gray interior, XLT trim. Aluminum Wheels, 4x4, OXFORD WHITE, Hitch, Onboard Communications System, Smart Device Integration, Back-Up Camera, iPod/MP3 Input, 110V/400W OUTLET. AND MORE! KEY FEATURES INCLUDE 4x4, Back-Up Camera, iPod/MP3 Input, Onboard Communications System, Trailer Hitch, Aluminum Wheels, Smart Device Integration MP3 Player, Satellite Radio, Privacy Glass, Steering Wheel Controls, Electronic Stability Control. OPTION PACKAGES XLT VALUE PACKAGE Reverse Sensing System, SecuriCode Driver's Side Keyless Entry Keypad, Fog Lamps, 8-Way Power Driver's Seat, Autolock/Auto Unlock, Power-Adjustable Pedals, PLATFORM RUNNING BOARDS, FX4 OFF-ROAD PACKAGE Unique FX4 Off-Road Box Decal, Off-Road Specifically Tuned Shock Absorbers, front/rear, Hill Descent Control, Transfer Case & Fuel Tank Skid Plates, ELECTRONIC-LOCKING W/3.73 AXLE RATIO, REVERSE SENSING SYSTEM, TIRES: LT275/70RX18E OWL Automatic Transmission (4) LT275/70Rx18E BSW Automatic Transmission spare tire, 110V/400W OUTLET Extra Heavy-Duty 200 Amp Alternator, ADJUSTABLE PEDALS, TRANSFER CASE & FUEL TANK SKID PLATES, OXFORD WHITE, TRANSMISSION: TORQSHIFT-G 6-SPD AUTO W/SELECTSHIFT (STD), ORDER CODE 603A, ENGINE: 6.2L 2-VALVE SOHC EFI NA V8 FLEX-FUEL Flex-Fuel badge on fleet orders only (STD). Ford XLT with Oxford White exterior and Medium Earth Gray interior features a 8 Cylinder Engine with 385 HP at 5750 RPM*. Approx. Original Base Sticker Price: $48,400*. OUR OFFERINGS At Shelor Motor Mile we have a price and payment to fit any budget. Our big selection means even bigger savings! Need extra spending money? Shelor wants your vehicle, and we're paying top dollar! Tax DMV Fees & $597 processing fee are not included in vehicle prices shown and must be paid by the purchaser. Vehicle information is based off standard equipment and may vary from vehicle to vehicle. Call or email for complete vehicle specific informatio Chevrolet Ford Chrysler Dodge Jeep & Ram prices include current factory rebates and incentives some of which may require financing through the manufacturer and/or the customer must own/trade a certain make of vehicle. Residency restrictions apply see dealer for details and restrictions. All pricing and details are believed to be accurate but we do not warrant or guarantee such accuracy. The prices shown above may vary from region to region as will incentives and are subject to change. XL trim, Oxford White exterior and Medium Earth Gray interior. PRIVACY GLASS, ENGINE: 6.2L 2-VALVE SOHC EFI NA V8 F... SYNC 3 COMMUNICATIONS & ENTERTAINMENT... ULTIMATE TRAILER TOW CAMERA SYSTEM, POWER EQUIPMENT GROUP. CLICK ME! KEY FEATURES INCLUDE 4x4, Trailer Hitch Electronic Stability Control, Brake Assist, Vinyl Seats, 4-Wheel ABS, 4-Wheel Disc Brakes. OPTION PACKAGES STX APPEARANCE PACKAGE STX fender vent badge, Tires: LT275/65Rx18E BSW A/S, Chrome Rear Step Bumper, Chrome Front Bumper, Wheels: 18 Sparkle Silver Painted Cast Aluminum, bright hub covers/center ornaments, Radio: AM/FM Stereo/MP3, 6 speakers, SYNC Communications & Entertainment System, enhanced voice recognition w/911 Assist, 4.2 LCD center stack screen, AppLink, 1 smart-charging USB port and steering wheel audio controls, Bright Chrome Hub Covers & Center Ornaments, Bright Chrome Grille, Steering Wheel-Mounted Cruise Control, POWER EQUIPMENT GROUP Deletes passenger-side lock cylinder, upgraded door trim panel, Accessory Delay, Advanced Security Pack, SecuriLock Passive Anti-Theft System (PATS) and inclination/intrusion sensors, Remote Keyless Entry, Manual Telescoping/Folding Trailer Tow Mirrors, power heated glass, heated convex spotter mirror and integrated clearance lights and turn signal indicators, Power Front & Rear Seat Windows, 1-touch up/down driver/passenger window, Power Tailgate Lock, Power Locks, ULTIMATE TRAILER TOW CAMERA SYSTEM 360 degree camera system and trailer reverse guidance, Display appears in center-stack screen, NOTE: Does not include customer placed trailer camera, Rear CHMSL Camera Display in center stack screen, LED Center High-Mounted Stop Lamp (CHMSL) w/cargo light and rear video camera Tax DMV Fees & $597 processing fee are not included in vehicle prices shown and must be paid by the purchaser. Vehicle information is based off standard equipment and may vary from vehicle to vehicle. Call or email for complete vehicle specific informatio Chevrolet Ford Chrysler Dodge Jeep & Ram prices include current factory rebates and incentives some of which may require financing through the manufacturer and/or the customer must own/trade a certain make of vehicle. Residency restrictions apply see dealer for details and restrictions. All pricing and details are believed to be accurate but we do not warrant or guarantee such accuracy. The prices shown above may vary from region to region as will incentives and are subject to change. 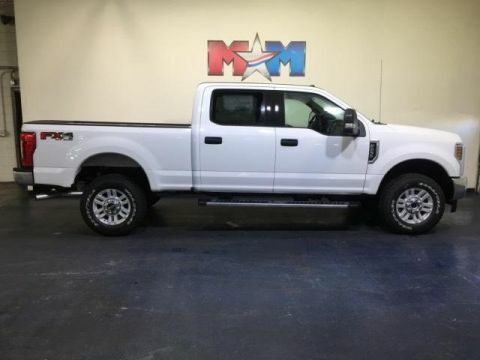 Heated Seats, TIRES: LT275/70RX18E OWL A/T (4), ELECTRONIC-LOCKING W/3.73 AXLE RATIO, SYNC 3 COMMUNICATIONS & ENTERTAINMENT... ENGINE: 6.2L 2-VALVE SOHC EFI NA V8 F... XLT trim, Oxford White exterior and Medium Earth Gray interior. SEE MORE! KEY FEATURES INCLUDE 4x4, Back-Up Camera, Trailer Hitch. Satellite Radio, Electronic Stability Control, Brake Assist, 4-Wheel ABS, 4-Wheel Disc Brakes. OPTION PACKAGES XLT PREMIUM PACKAGE 2 front chrome tow hooks, Reverse Sensing System, Wheels: 18 Chrome PVD Aluminum, SecuriCode Driver's Side Keyless Entry Keypad, Fog Lamps, Unique Chrome Mirror Caps, 6 Angular Chrome Step Bars, Body-Color Door Handles w/Chrome Insert, chrome tailgate handle, Chrome Exhaust Tip, Power-Adjustable Pedals, SYNC 3 Communications & Entertainment System, enhanced voice recognition, 8 LCD capacitive touch screen in center stack w/swipe capability, pinch-to-zoom capability included w/available voice-activated touchscreen navigation system, 4.2 productivity screen in IP cluster, AppLink, 911 Assist, Apple CarPlay and Android Auto and 2 smart charging USB ports, NOTE: SYNC AppLink lets you control some of your favorite compatible mobile apps w/your voice, It is compatible, 6 ANGULAR CHROME STEP BAR, SYNC 3 COMMUNICATIONS & ENTERTAINMENT SYSTEM enhanced voice recognition, 8 LCD capacitive touch screen in center stack w/swipe capability, pinch-to-zoom capability included w/available voice-activated touchscreen navigation system, 4.2 productivity screen in IP cluster, AppLink, 911 Assist, Apple CarPlay and Android Auto and 2 smart charging USB ports, NOTE: SYNC AppLink lets you control some of your favorite compatible mobile apps w/your voice Tax DMV Fees & $597 processing fee are not included in vehicle prices shown and must be paid by the purchaser. Vehicle information is based off standard equipment and may vary from vehicle to vehicle. Call or email for complete vehicle specific informatio Chevrolet Ford Chrysler Dodge Jeep & Ram prices include current factory rebates and incentives some of which may require financing through the manufacturer and/or the customer must own/trade a certain make of vehicle. Residency restrictions apply see dealer for details and restrictions. All pricing and details are believed to be accurate but we do not warrant or guarantee such accuracy. The prices shown above may vary from region to region as will incentives and are subject to change. Ruby Red Metallic Tinted Clearcoat exterior and Medium Earth Gray interior, XLT trim. 4x4, Alloy Wheels, Tow Hitch, Onboard Communications System, iPod/MP3 Input, Back-Up Camera, ELECTRONIC-LOCKING W/3.73 AXLE RATIO. AND MORE! KEY FEATURES INCLUDE 4x4, Back-Up Camera, iPod/MP3 Input, Onboard Communications System, Trailer Hitch, Aluminum Wheels MP3 Player, Satellite Radio, Privacy Glass, Steering Wheel Controls, Electronic Stability Control. OPTION PACKAGES XLT VALUE PACKAGE Reverse Sensing System, SecuriCode Driver's Side Keyless Entry Keypad, Fog Lamps, 8-Way Power Driver's Seat, Autolock/Auto Unlock, Power-Adjustable Pedals, RUBY RED METALLIC TINTED CLEARCOAT, ELECTRONIC-LOCKING W/3.73 AXLE RATIO, REVERSE SENSING SYSTEM, TIRES: LT275/70RX18E OWL Automatic Transmission (4) LT275/70Rx18E BSW Automatic Transmission spare tire, 110V/400W OUTLET, ADJUSTABLE PEDALS, LED ROOF CLEARANCE LIGHTS, ENGINE: 6.2L 2-VALVE SOHC EFI NA V8 FLEX-FUEL Flex-Fuel badge on fleet orders only (STD), ORDER CODE 603A, TRANSMISSION: TORQSHIFT-G 6-SPD AUTO W/SELECTSHIFT (STD). 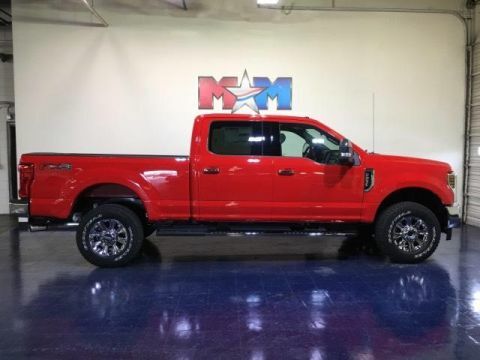 Ford XLT with Ruby Red Metallic Tinted Clearcoat exterior and Medium Earth Gray interior features a 8 Cylinder Engine with 385 HP at 5750 RPM*. Approx. Original Base Sticker Price: $50,000*. WHY BUY FROM US At Shelor Motor Mile we have a price and payment to fit any budget. Our big selection means even bigger savings! Need extra spending money? Shelor wants your vehicle, and we're paying top dollar! Tax DMV Fees & $597 processing fee are not included in vehicle prices shown and must be paid by the purchaser. Vehicle information is based off standard equipment and may vary from vehicle to vehicle. Call or email for complete vehicle specific informatio Chevrolet Ford Chrysler Dodge Jeep & Ram prices include current factory rebates and incentives some of which may require financing through the manufacturer and/or the customer must own/trade a certain make of vehicle. Residency restrictions apply see dealer for details and restrictions. All pricing and details are believed to be accurate but we do not warrant or guarantee such accuracy. The prices shown above may vary from region to region as will incentives and are subject to change. Oxford White exterior and Medium Earth Gray interior, XLT trim. Alloy Wheels, 4x4, OXFORD WHITE, Trailer Hitch, Onboard Communications System, Smart Device Integration, Back-Up Camera, iPod/MP3 Input, 110V/400W OUTLET SEE MORE! KEY FEATURES INCLUDE 4x4, Back-Up Camera, iPod/MP3 Input, Onboard Communications System, Trailer Hitch, Aluminum Wheels, Smart Device Integration. MP3 Player, Satellite Radio, Privacy Glass, Steering Wheel Controls, Heated Mirrors. OPTION PACKAGES XLT VALUE PACKAGE Reverse Sensing System, SecuriCode Driver's Side Keyless Entry Keypad, Fog Lamps, 8-Way Power Driver's Seat, Autolock/Auto Unlock, Power-Adjustable Pedals, 6 ANGULAR CHROME STEP BAR, FX4 OFF-ROAD PACKAGE Unique FX4 Off-Road Box Decal, Off-Road Specifically Tuned Shock Absorbers, front/rear, Hill Descent Control, Transfer Case & Fuel Tank Skid Plates, ELECTRONIC-LOCKING W/3.73 AXLE RATIO, REVERSE SENSING SYSTEM, TIRES: LT275/70RX18E OWL Automatic Transmission (4) LT275/70Rx18E BSW Automatic Transmission spare tire, 110V/400W OUTLET, ADJUSTABLE PEDALS, TRANSFER CASE & FUEL TANK SKID PLATES, OXFORD WHITE, TRANSMISSION: TORQSHIFT-G 6-SPD AUTO W/SELECTSHIFT (STD), ORDER CODE 603A, ENGINE: 6.2L 2-VALVE SOHC EFI NA V8 FLEX-FUEL Flex-Fuel badge on fleet orders only (STD). Ford XLT with Oxford White exterior and Medium Earth Gray interior features a 8 Cylinder Engine with 385 HP at 5750 RPM*. Approx. Original Base Sticker Price: $50,400*. WHY BUY FROM US At Shelor Motor Mile we have a price and payment to fit any budget. Our big selection means even bigger savings! Need extra spending money? Shelor wants your vehicle, and we're paying top dollar! Tax DMV Fees & $597 processing fee are not included in vehicle prices shown and must be paid by the purchaser. Vehicle information is based off standard equipment and may vary from vehicle to vehicle. Call or email for complete vehicle specific informatio Chevrolet Ford Chrysler Dodge Jeep & Ram prices include current factory rebates and incentives some of which may require financing through the manufacturer and/or the customer must own/trade a certain make of vehicle. Residency restrictions apply see dealer for details and restrictions. All pricing and details are believed to be accurate but we do not warrant or guarantee such accuracy. The prices shown above may vary from region to region as will incentives and are subject to change. Tow Hitch, Alloy Wheels, TIRES: LT275/70RX18E OWL A/T (4), ELECTRONIC-LOCKING W/3.73 AXLE RATIO, 4x4, Onboard Communications System, Smart Device Integration. 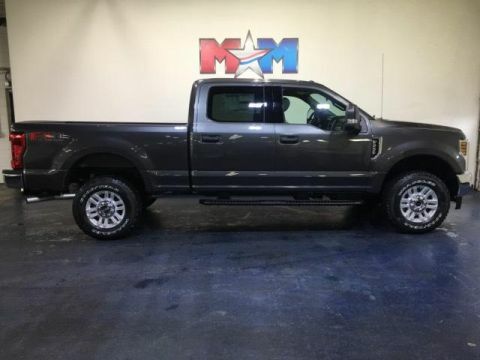 XLT trim, Magnetic Metallic exterior and Medium Earth Gray interior. SEE MORE! KEY FEATURES INCLUDE 4x4, Back-Up Camera, iPod/MP3 Input, Onboard Communications System, Trailer Hitch, Aluminum Wheels, Smart Device Integration MP3 Player, Satellite Radio, Steering Wheel Controls, Electronic Stability Control, Heated Mirrors. OPTION PACKAGES XLT VALUE PACKAGE Reverse Sensing System, SecuriCode Driver's Side Keyless Entry Keypad, Fog Lamps, 8-Way Power Driver's Seat, Autolock/Auto Unlock, Power-Adjustable Pedals, 6 ANGULAR CHROME STEP BAR, POWER-SLIDING REAR-WINDOW W/DEFROST driver/passenger sun visors w/illuminated vanity covered mirrors, FX4 OFF-ROAD PACKAGE Unique FX4 Off-Road Box Decal, Off-Road Specifically Tuned Shock Absorbers, front/rear, Hill Descent Control, Transfer Case & Fuel Tank Skid Plates, ELECTRONIC-LOCKING W/3.73 AXLE RATIO, REVERSE SENSING SYSTEM, TIRES: LT275/70RX18E OWL Automatic Transmission (4) LT275/70Rx18E BSW Automatic Transmission spare tire, REAR CHMSL CAMERA Display in center stack screen, LED Center High-Mounted Stop Lamp (CHMSL) w/cargo light and rear video camera, ADJUSTABLE PEDALS, TRANSFER CASE & FUEL TANK SKID PLATES, FIXED REAR-WINDOW W/DEFROST, TRANSMISSION: TORQSHIFT-G 6-SPD AUTO W/SELECTSHIFT (STD), ORDER CODE 603A, ENGINE: 6.2L 2-VALVE SOHC EFI NA V8 FLEX-FUEL Flex-Fuel badge on fleet orders only (STD), MAGNETIC METALLIC. OUR OFFERINGS At Shelor Motor Mile we have a price and payment to fit any budget. Our big selection means even bigger savings! Need extra spending money? Shelor wants your vehicle Tax DMV Fees & $597 processing fee are not included in vehicle prices shown and must be paid by the purchaser. Vehicle information is based off standard equipment and may vary from vehicle to vehicle. Call or email for complete vehicle specific informatio Chevrolet Ford Chrysler Dodge Jeep & Ram prices include current factory rebates and incentives some of which may require financing through the manufacturer and/or the customer must own/trade a certain make of vehicle. Residency restrictions apply see dealer for details and restrictions. All pricing and details are believed to be accurate but we do not warrant or guarantee such accuracy. The prices shown above may vary from region to region as will incentives and are subject to change. XLT trim, Magnetic Metallic exterior and Medium Earth Gray interior. Hitch, Aluminum Wheels, TIRES: LT275/70RX18E OWL A/T (4), ELECTRONIC-LOCKING W/3.73 AXLE RATIO, 4x4, Onboard Communications System, Smart Device Integration SEE MORE! KEY FEATURES INCLUDE 4x4, Back-Up Camera, iPod/MP3 Input, Onboard Communications System, Trailer Hitch, Aluminum Wheels, Smart Device Integration MP3 Player, Satellite Radio, Privacy Glass, Steering Wheel Controls, Heated Mirrors. OPTION PACKAGES XLT VALUE PACKAGE Reverse Sensing System, SecuriCode Driver's Side Keyless Entry Keypad, Fog Lamps, 8-Way Power Driver's Seat, Autolock/Auto Unlock, Power-Adjustable Pedals, 6 ANGULAR CHROME EXTENDED RUNNING BOARDS, FX4 OFF-ROAD PACKAGE Unique FX4 Off-Road Box Decal, Off-Road Specifically Tuned Shock Absorbers, front/rear, Hill Descent Control, Transfer Case & Fuel Tank Skid Plates, ELECTRONIC-LOCKING W/3.73 AXLE RATIO, REVERSE SENSING SYSTEM, TIRES: LT275/70RX18E OWL Automatic Transmission (4) LT275/70Rx18E BSW Automatic Transmission spare tire, 110V/400W OUTLET, ADJUSTABLE PEDALS, TRANSFER CASE & FUEL TANK SKID PLATES, LED ROOF CLEARANCE LIGHTS, TRANSMISSION: TORQSHIFT-G 6-SPD AUTO W/SELECTSHIFT (STD), ORDER CODE 603A, ENGINE: 6.2L 2-VALVE SOHC EFI NA V8 FLEX-FUEL Flex-Fuel badge on fleet orders only (STD), MAGNETIC METALLIC. 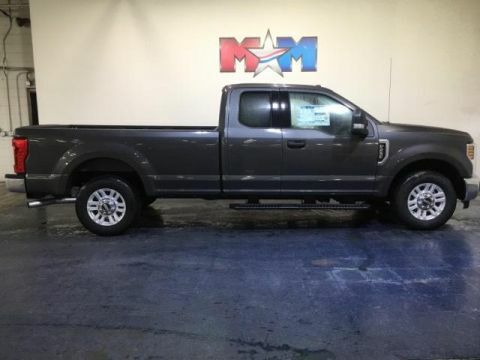 Ford XLT with Magnetic Metallic exterior and Medium Earth Gray interior features a 8 Cylinder Engine with 385 HP at 5750 RPM*. Approx. Original Base Sticker Price: $50,700*. WHY BUY FROM US At Shelor Motor Mile we have a price and payment to fit any budget. Our big selection means even bigger savings! Need extra spending money? Shelor wants your vehicle, and we're paying top dollar! Tax DMV Fees & $597 processing fee are not included in vehicle prices shown and must be paid by the purchaser. Vehicle information is based off standard equipment and may vary from vehicle to vehicle. Call or email for complete vehicle specific informatio Chevrolet Ford Chrysler Dodge Jeep & Ram prices include current factory rebates and incentives some of which may require financing through the manufacturer and/or the customer must own/trade a certain make of vehicle. Residency restrictions apply see dealer for details and restrictions. All pricing and details are believed to be accurate but we do not warrant or guarantee such accuracy. The prices shown above may vary from region to region as will incentives and are subject to change. TIRES: LT275/70RX18E OWL A/T (4), ELECTRONIC-LOCKING W/3.73 AXLE RATIO, ENGINE: 6.2L 2-VALVE SOHC EFI NA V8 F... 4x4, Back-Up Camera. Ruby Red Metallic Tinted Clearcoat exterior and Medium Earth Gray interior, XLT trim CLICK NOW! KEY FEATURES INCLUDE 4x4, Back-Up Camera, Trailer Hitch, Aluminum Wheels Satellite Radio, Heated Mirrors, Electronic Stability Control, Brake Assist, 4-Wheel ABS. OPTION PACKAGES XLT VALUE PACKAGE Reverse Sensing System, SecuriCode Driver's Side Keyless Entry Keypad, Fog Lamps, 8-Way Power Driver's Seat, Autolock/Auto Unlock, Power-Adjustable Pedals, SYNC 3 COMMUNICATIONS & ENTERTAINMENT SYSTEM enhanced voice recognition, 8 LCD capacitive touch screen in center stack w/swipe capability, pinch-to-zoom capability included w/available voice-activated touchscreen navigation system, 4.2 productivity screen in IP cluster, AppLink, 911 Assist, Apple CarPlay and Android Auto and 2 smart charging USB ports, NOTE: SYNC AppLink lets you control some of your favorite compatible mobile apps w/your voice, It is compatible w/select smartphone platforms, Commands may vary by phone and AppLink software, 110V/400W Outlet, 1 in-dash mounted outlet, POWER-SLIDING REAR-WINDOW W/DEFROST driver/passenger sun visors w/illuminated vanity covered mirrors, FX4 OFF-ROAD PACKAGE Unique FX4 Off-Road Box Decal, Off-Road Specifically Tuned Shock Absorbers, front/rear, Hill Descent Control, Transfer Case & Fuel Tank Skid Plates, RUBY RED METALLIC TINTED CLEARCOAT, ELECTRONIC-LOCKING W/3.73 AXLE RATIO, REVERSE SENSING SYSTEM, TIRES: LT275/70RX18E OWL Automatic Transmission (4) LT275/70Rx18E BSW Automatic Transmission spare tire, REAR CHMSL CAMERA Display in center stack screen Tax DMV Fees & $597 processing fee are not included in vehicle prices shown and must be paid by the purchaser. Vehicle information is based off standard equipment and may vary from vehicle to vehicle. Call or email for complete vehicle specific informatio Chevrolet Ford Chrysler Dodge Jeep & Ram prices include current factory rebates and incentives some of which may require financing through the manufacturer and/or the customer must own/trade a certain make of vehicle. Residency restrictions apply see dealer for details and restrictions. All pricing and details are believed to be accurate but we do not warrant or guarantee such accuracy. The prices shown above may vary from region to region as will incentives and are subject to change. XLT trim, Ruby Red Metallic Tinted Clearcoat exterior and Medium Earth Gray interior. 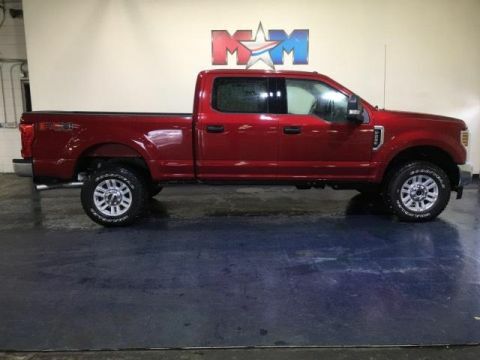 RUBY RED METALLIC TINTED CLEARCOAT, TIRES: LT275/70RX18E OWL A/T (4), ENGINE: 6.2L 2-VALVE SOHC EFI NA V8 F... REAR CHMSL CAMERA, 4x4 READ MORE! KEY FEATURES INCLUDE 4x4, Back-Up Camera, Trailer Hitch, Aluminum Wheels. 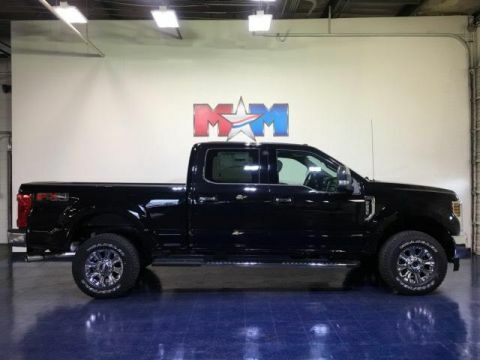 Satellite Radio, Heated Mirrors, Electronic Stability Control, Brake Assist, 4-Wheel ABS. OPTION PACKAGES XLT VALUE PACKAGE Reverse Sensing System, SecuriCode Driver's Side Keyless Entry Keypad, Fog Lamps, 8-Way Power Driver's Seat, Autolock/Auto Unlock, Power-Adjustable Pedals, 6 ANGULAR CHROME STEP BAR, SYNC 3 COMMUNICATIONS & ENTERTAINMENT SYSTEM enhanced voice recognition, 8 LCD capacitive touch screen in center stack w/swipe capability, pinch-to-zoom capability included w/available voice-activated touchscreen navigation system, 4.2 productivity screen in IP cluster, AppLink, 911 Assist, Apple CarPlay and Android Auto and 2 smart charging USB ports, NOTE: SYNC AppLink lets you control some of your favorite compatible mobile apps w/your voice, It is compatible w/select smartphone platforms, Commands may vary by phone and AppLink software, 110V/400W Outlet, 1 in-dash mounted outlet, POWER-SLIDING REAR-WINDOW W/DEFROST driver/passenger sun visors w/illuminated vanity covered mirrors, FX4 OFF-ROAD PACKAGE Unique FX4 Off-Road Box Decal, Off-Road Specifically Tuned Shock Absorbers, front/rear, Hill Descent Control, Transfer Case & Fuel Tank Skid Plates, RUBY RED METALLIC TINTED CLEARCOAT, ELECTRONIC-LOCKING W/3.73 AXLE RATIO, REVERSE SENSING SYSTEM, TIRES: LT275/70RX18E OWL Automatic Transmission (4) LT275/70Rx18E BSW Automatic Transmission spare tire Tax DMV Fees & $597 processing fee are not included in vehicle prices shown and must be paid by the purchaser. Vehicle information is based off standard equipment and may vary from vehicle to vehicle. Call or email for complete vehicle specific informatio Chevrolet Ford Chrysler Dodge Jeep & Ram prices include current factory rebates and incentives some of which may require financing through the manufacturer and/or the customer must own/trade a certain make of vehicle. Residency restrictions apply see dealer for details and restrictions. All pricing and details are believed to be accurate but we do not warrant or guarantee such accuracy. The prices shown above may vary from region to region as will incentives and are subject to change. XLT trim, Ingot Silver Metallic exterior and Medium Earth Gray interior. TIRES: LT275/70RX18E OWL A/T (4), INGOT SILVER METALLIC, SYNC 3 COMMUNICATIONS & ENTERTAINMENT... ENGINE: 6.2L 2-VALVE SOHC EFI NA V8 F... 4x4, Hitch READ MORE! KEY FEATURES INCLUDE 4x4, Back-Up Camera, Trailer Hitch, Aluminum Wheels. Satellite Radio, Electronic Stability Control, Heated Mirrors, Brake Assist, 4-Wheel ABS. OPTION PACKAGES XLT VALUE PACKAGE Reverse Sensing System, SecuriCode Driver's Side Keyless Entry Keypad, Fog Lamps, 8-Way Power Driver's Seat, Autolock/Auto Unlock, Power-Adjustable Pedals, 6 ANGULAR CHROME STEP BAR, SYNC 3 COMMUNICATIONS & ENTERTAINMENT SYSTEM enhanced voice recognition, 8 LCD capacitive touch screen in center stack w/swipe capability, pinch-to-zoom capability included w/available voice-activated touchscreen navigation system, 4.2 productivity screen in IP cluster, AppLink, 911 Assist, Apple CarPlay and Android Auto and 2 smart charging USB ports, NOTE: SYNC AppLink lets you control some of your favorite compatible mobile apps w/your voice, It is compatible w/select smartphone platforms, Commands may vary by phone and AppLink software, 110V/400W Outlet, 1 in-dash mounted outlet, POWER-SLIDING REAR-WINDOW W/DEFROST driver/passenger sun visors w/illuminated vanity covered mirrors, FX4 OFF-ROAD PACKAGE Unique FX4 Off-Road Box Decal, Off-Road Specifically Tuned Shock Absorbers, front/rear, Hill Descent Control, Transfer Case & Fuel Tank Skid Plates, ELECTRONIC-LOCKING W/3.73 AXLE RATIO, REVERSE SENSING SYSTEM, TIRES: LT275/70RX18E OWL Automatic Transmission (4) LT275/70Rx18E BSW Automatic Transmission spare tire, REAR CHMSL CAMERA Display in center stack screen Tax DMV Fees & $597 processing fee are not included in vehicle prices shown and must be paid by the purchaser. Vehicle information is based off standard equipment and may vary from vehicle to vehicle. Call or email for complete vehicle specific informatio Chevrolet Ford Chrysler Dodge Jeep & Ram prices include current factory rebates and incentives some of which may require financing through the manufacturer and/or the customer must own/trade a certain make of vehicle. Residency restrictions apply see dealer for details and restrictions. All pricing and details are believed to be accurate but we do not warrant or guarantee such accuracy. The prices shown above may vary from region to region as will incentives and are subject to change. Oxford White exterior and Medium Earth Gray interior, XLT trim. Hitch, Aluminum Wheels, ELECTRONIC-LOCKING W/3.73 AXLE RATIO, OXFORD WHITE, 4x4, Onboard Communications System, Smart Device Integration, Back-Up Camera CLICK NOW! KEY FEATURES INCLUDE 4x4, Back-Up Camera, iPod/MP3 Input, Onboard Communications System, Trailer Hitch, Aluminum Wheels, Smart Device Integration. MP3 Player, Satellite Radio, Steering Wheel Controls, Heated Mirrors, Electronic Stability Control. OPTION PACKAGES XLT VALUE PACKAGE Reverse Sensing System, SecuriCode Driver's Side Keyless Entry Keypad, Fog Lamps, 8-Way Power Driver's Seat, Autolock/Auto Unlock, Power-Adjustable Pedals, 6 ANGULAR CHROME STEP BAR, POWER-SLIDING REAR-WINDOW W/DEFROST driver/passenger sun visors w/illuminated vanity covered mirrors, FX4 OFF-ROAD PACKAGE Unique FX4 Off-Road Box Decal, Off-Road Specifically Tuned Shock Absorbers, front/rear, Hill Descent Control, Transfer Case & Fuel Tank Skid Plates, ELECTRONIC-LOCKING W/3.73 AXLE RATIO, REVERSE SENSING SYSTEM, TIRES: LT275/70RX18E OWL Automatic Transmission (4) LT275/70Rx18E BSW Automatic Transmission spare tire, REAR CHMSL CAMERA Display in center stack screen, LED Center High-Mounted Stop Lamp (CHMSL) w/cargo light and rear video camera, 110V/400W OUTLET, ADJUSTABLE PEDALS, TRANSFER CASE & FUEL TANK SKID PLATES, FIXED REAR-WINDOW W/DEFROST, OXFORD WHITE, TRANSMISSION: TORQSHIFT-G 6-SPD AUTO W/SELECTSHIFT (STD), ORDER CODE 603A, ENGINE: 6.2L 2-VALVE SOHC EFI NA V8 FLEX-FUEL Flex-Fuel badge on fleet orders only (STD). WHY BUY FROM US At Shelor Motor Mile we have a price and payment to fit any budget. Our big selection means even bigger savings! Need extra spending money? Shelor wants your vehicle Tax DMV Fees & $597 processing fee are not included in vehicle prices shown and must be paid by the purchaser. Vehicle information is based off standard equipment and may vary from vehicle to vehicle. Call or email for complete vehicle specific informatio Chevrolet Ford Chrysler Dodge Jeep & Ram prices include current factory rebates and incentives some of which may require financing through the manufacturer and/or the customer must own/trade a certain make of vehicle. Residency restrictions apply see dealer for details and restrictions. All pricing and details are believed to be accurate but we do not warrant or guarantee such accuracy. The prices shown above may vary from region to region as will incentives and are subject to change. Ruby Red Metallic Tinted Clearcoat exterior and Medium Earth Gray interior, XLT trim. ENGINE: 6.2L 2-VALVE SOHC EFI NA V8 F... RUBY RED METALLIC TINTED CLEARCOAT, SYNC 3 COMMUNICATIONS & ENTERTAINMENT... REVERSE SENSING SYSTEM AND MORE! KEY FEATURES INCLUDE 4x4, Back-Up Camera, Trailer Hitch, Aluminum Wheels Satellite Radio, Heated Mirrors, Electronic Stability Control, Brake Assist, 4-Wheel ABS. OPTION PACKAGES XLT VALUE PACKAGE Reverse Sensing System, SecuriCode Driver's Side Keyless Entry Keypad, Fog Lamps, 8-Way Power Driver's Seat, Autolock/Auto Unlock, Power-Adjustable Pedals, 6 ANGULAR CHROME STEP BAR, 5TH WHEEL/GOOSENECK HITCH PREP PACKAGE 5 pickup bed attachment points w/plugs, 1 frame under-bed cross member and 1 integrated 7-pin connector on driver's side pickup bed wall, 5th wheel hitch compatibility: the 5th Wheel/Gooseneck Prep Package (53W) is compatible w/the factory orderable 5th Wheel Hitch Kits (15K and 15L) and dealer-installed Ford accessories 5th Wheel Hitch Kit by Reese - part #BC3Z-19D520-A (8ft box only), The prep package is also compatible w/Reese Signature Series 5th wheel hitch kits updated w/a new Leg Service Kit - part #BC3Z-A00A25-A (8ft box only), The 5th Wheel Hitch Kit (15K), 5th Wheel Hitch Kit (15L) and dealer-installed Ford accessories 5th Wheel Hitch Kit by Reese - part #BC3Z-19D520-A is not released to the short box (6.75ft box), NOTE: the short pickup box, SYNC 3 COMMUNICATIONS & ENTERTAINMENT SYSTEM enhanced voice recognition, 8 LCD capacitive touch screen in center stack w/swipe capability, pinch-to-zoom capability included w/available voice-activated touchscreen navigation system, 4.2 productivity screen in IP cluster, AppLink, 911 Assist Tax DMV Fees & $597 processing fee are not included in vehicle prices shown and must be paid by the purchaser. Vehicle information is based off standard equipment and may vary from vehicle to vehicle. Call or email for complete vehicle specific informatio Chevrolet Ford Chrysler Dodge Jeep & Ram prices include current factory rebates and incentives some of which may require financing through the manufacturer and/or the customer must own/trade a certain make of vehicle. Residency restrictions apply see dealer for details and restrictions. All pricing and details are believed to be accurate but we do not warrant or guarantee such accuracy. The prices shown above may vary from region to region as will incentives and are subject to change. 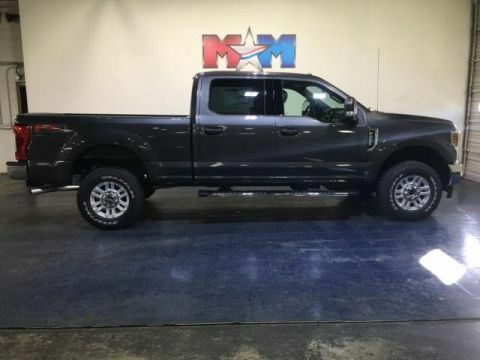 XLT trim, Magnetic Metallic exterior and Medium Earth Gray interior. TIRES: LT275/70RX18E OWL A/T (4), MAGNETIC METALLIC, ENGINE: 6.2L 2-VALVE SOHC EFI NA V8 F... ELECTRONIC-LOCKING W/3.73 AXLE RATIO, 4x4, Alloy Wheels CLICK NOW! KEY FEATURES INCLUDE 4x4, Trailer Hitch, Aluminum Wheels. Satellite Radio, Privacy Glass, Heated Mirrors, Electronic Stability Control, Brake Assist. OPTION PACKAGES XLT VALUE PACKAGE Reverse Sensing System, SecuriCode Driver's Side Keyless Entry Keypad, Fog Lamps, 8-Way Power Driver's Seat, Autolock/Auto Unlock, Power-Adjustable Pedals, ULTIMATE TRAILER TOW CAMERA SYSTEM 360 degree camera system and trailer reverse guidance, Display appears in center-stack screen, NOTE: Does not include customer placed trailer camera, Rear CHMSL Camera Display in center stack screen, LED Center High-Mounted Stop Lamp (CHMSL) w/cargo light and rear video camera, SYNC 3 COMMUNICATIONS & ENTERTAINMENT SYSTEM enhanced voice recognition, 8 LCD capacitive touch screen in center stack w/swipe capability, pinch-to-zoom capability included w/available voice-activated touchscreen navigation system, 4.2 productivity screen in IP cluster, AppLink, 911 Assist, Apple CarPlay and Android Auto and 2 smart charging USB ports, NOTE: SYNC AppLink lets you control some of your favorite compatible mobile apps w/your voice, It is compatible w/select smartphone platforms, Commands may vary by phone and AppLink software, 110V/400W Outlet, 1 in-dash mounted outlet, FX4 OFF-ROAD PACKAGE Unique FX4 Off-Road Box Decal, Off-Road Specifically Tuned Shock Absorbers, front/rear, Hill Descent Control, Transfer Case & Fuel Tank Skid Plates, ELECTRONIC-LOCKING W/3.73 AXLE RATIO, REVERSE SENSING SYSTEM Tax DMV Fees & $597 processing fee are not included in vehicle prices shown and must be paid by the purchaser. Vehicle information is based off standard equipment and may vary from vehicle to vehicle. Call or email for complete vehicle specific informatio Chevrolet Ford Chrysler Dodge Jeep & Ram prices include current factory rebates and incentives some of which may require financing through the manufacturer and/or the customer must own/trade a certain make of vehicle. Residency restrictions apply see dealer for details and restrictions. All pricing and details are believed to be accurate but we do not warrant or guarantee such accuracy. The prices shown above may vary from region to region as will incentives and are subject to change. ELECTRONIC-LOCKING W/3.73 AXLE RATIO, OXFORD WHITE, ENGINE: 6.2L 2-VALVE SOHC EFI NA V8 F... TIRES: LT275/70RX18E OWL A/T (4), 4x4, Back-Up Camera, Tow Hitch. 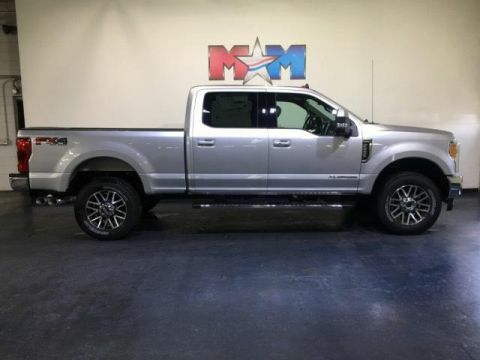 Oxford White exterior and Medium Earth Gray interior, XLT trim CLICK ME! KEY FEATURES INCLUDE 4x4, Back-Up Camera, Trailer Hitch, Aluminum Wheels. Satellite Radio, Electronic Stability Control, Heated Mirrors, Brake Assist, 4-Wheel ABS. OPTION PACKAGES XLT VALUE PACKAGE Reverse Sensing System, SecuriCode Driver's Side Keyless Entry Keypad, Fog Lamps, 8-Way Power Driver's Seat, Autolock/Auto Unlock, Power-Adjustable Pedals, 6 ANGULAR CHROME STEP BAR, SYNC 3 COMMUNICATIONS & ENTERTAINMENT SYSTEM enhanced voice recognition, 8 LCD capacitive touch screen in center stack w/swipe capability, pinch-to-zoom capability included w/available voice-activated touchscreen navigation system, 4.2 productivity screen in IP cluster, AppLink, 911 Assist, Apple CarPlay and Android Auto and 2 smart charging USB ports, NOTE: SYNC AppLink lets you control some of your favorite compatible mobile apps w/your voice, It is compatible w/select smartphone platforms, Commands may vary by phone and AppLink software, 110V/400W Outlet, 1 in-dash mounted outlet, POWER-SLIDING REAR-WINDOW W/DEFROST driver/passenger sun visors w/illuminated vanity covered mirrors, FX4 OFF-ROAD PACKAGE Unique FX4 Off-Road Box Decal, Off-Road Specifically Tuned Shock Absorbers, front/rear, Hill Descent Control, Transfer Case & Fuel Tank Skid Plates, ELECTRONIC-LOCKING W/3.73 AXLE RATIO, REVERSE SENSING SYSTEM, TIRES: LT275/70RX18E OWL Automatic Transmission (4) LT275/70Rx18E BSW Automatic Transmission spare tire, REAR CHMSL CAMERA Display in center stack screen Tax DMV Fees & $597 processing fee are not included in vehicle prices shown and must be paid by the purchaser. Vehicle information is based off standard equipment and may vary from vehicle to vehicle. Call or email for complete vehicle specific informatio Chevrolet Ford Chrysler Dodge Jeep & Ram prices include current factory rebates and incentives some of which may require financing through the manufacturer and/or the customer must own/trade a certain make of vehicle. Residency restrictions apply see dealer for details and restrictions. All pricing and details are believed to be accurate but we do not warrant or guarantee such accuracy. The prices shown above may vary from region to region as will incentives and are subject to change. Magnetic Metallic exterior and Medium Earth Gray interior, XLT trim. ELECTRONIC-LOCKING W/3.73 AXLE RATIO, TIRES: LT275/70RX18E OWL A/T (4), MAGNETIC METALLIC, Hitch, Back-Up Camera, 4x4, Aluminum Wheels, 110V/400W OUTLET AND MORE! KEY FEATURES INCLUDE 4x4, Back-Up Camera, Trailer Hitch, Aluminum Wheels Satellite Radio, Privacy Glass, Electronic Stability Control, Heated Mirrors, Brake Assist. OPTION PACKAGES XLT VALUE PACKAGE Reverse Sensing System, SecuriCode Driver's Side Keyless Entry Keypad, Fog Lamps, 8-Way Power Driver's Seat, Autolock/Auto Unlock, Power-Adjustable Pedals, 6 ANGULAR CHROME STEP BAR, SYNC 3 COMMUNICATIONS & ENTERTAINMENT SYSTEM enhanced voice recognition, 8 LCD capacitive touch screen in center stack w/swipe capability, pinch-to-zoom capability included w/available voice-activated touchscreen navigation system, 4.2 productivity screen in IP cluster, AppLink, 911 Assist, Apple CarPlay and Android Auto and 2 smart charging USB ports, NOTE: SYNC AppLink lets you control some of your favorite compatible mobile apps w/your voice, It is compatible w/select smartphone platforms, Commands may vary by phone and AppLink software, 110V/400W Outlet, 1 in-dash mounted outlet, FX4 OFF-ROAD PACKAGE Unique FX4 Off-Road Box Decal, Off-Road Specifically Tuned Shock Absorbers, front/rear, Hill Descent Control, Transfer Case & Fuel Tank Skid Plates, ELECTRONIC-LOCKING W/3.73 AXLE RATIO, REVERSE SENSING SYSTEM, TIRES: LT275/70RX18E OWL Automatic Transmission (4) LT275/70Rx18E BSW Automatic Transmission spare tire, 110V/400W OUTLET, ADJUSTABLE PEDALS, TRANSFER CASE & FUEL TANK SKID PLATES, ORDER CODE 603A, MAGNETIC METALLIC, TRANSMISSION: TORQSHIFT-G 6-SPD AUTO W/SELECTSHIFT (STD) Tax DMV Fees & $597 processing fee are not included in vehicle prices shown and must be paid by the purchaser. Vehicle information is based off standard equipment and may vary from vehicle to vehicle. Call or email for complete vehicle specific informatio Chevrolet Ford Chrysler Dodge Jeep & Ram prices include current factory rebates and incentives some of which may require financing through the manufacturer and/or the customer must own/trade a certain make of vehicle. Residency restrictions apply see dealer for details and restrictions. All pricing and details are believed to be accurate but we do not warrant or guarantee such accuracy. The prices shown above may vary from region to region as will incentives and are subject to change. XLT trim, Magnetic Metallic exterior and Medium Earth Gray interior. ELECTRONIC-LOCKING W/3.73 AXLE RATIO, TIRES: LT275/70RX18E OWL A/T (4), MAGNETIC METALLIC, Trailer Hitch, Back-Up Camera, 4x4, Alloy Wheels, 110V/400W OUTLET CLICK NOW! KEY FEATURES INCLUDE 4x4, Back-Up Camera, Trailer Hitch, Aluminum Wheels Satellite Radio, Privacy Glass, Electronic Stability Control, Heated Mirrors, Brake Assist. OPTION PACKAGES XLT VALUE PACKAGE Reverse Sensing System, SecuriCode Driver's Side Keyless Entry Keypad, Fog Lamps, 8-Way Power Driver's Seat, Autolock/Auto Unlock, Power-Adjustable Pedals, SYNC 3 COMMUNICATIONS & ENTERTAINMENT SYSTEM enhanced voice recognition, 8 LCD capacitive touch screen in center stack w/swipe capability, pinch-to-zoom capability included w/available voice-activated touchscreen navigation system, 4.2 productivity screen in IP cluster, AppLink, 911 Assist, Apple CarPlay and Android Auto and 2 smart charging USB ports, NOTE: SYNC AppLink lets you control some of your favorite compatible mobile apps w/your voice, It is compatible w/select smartphone platforms, Commands may vary by phone and AppLink software, 110V/400W Outlet, 1 in-dash mounted outlet, PLATFORM RUNNING BOARDS, FX4 OFF-ROAD PACKAGE Unique FX4 Off-Road Box Decal, Off-Road Specifically Tuned Shock Absorbers, front/rear, Hill Descent Control, Transfer Case & Fuel Tank Skid Plates, ELECTRONIC-LOCKING W/3.73 AXLE RATIO, REVERSE SENSING SYSTEM, TIRES: LT275/70RX18E OWL Automatic Transmission (4) LT275/70Rx18E BSW Automatic Transmission spare tire, 110V/400W OUTLET, ADJUSTABLE PEDALS, TRANSFER CASE & FUEL TANK SKID PLATES, ORDER CODE 603A, MAGNETIC METALLIC, TRANSMISSION: TORQSHIFT-G 6-SPD AUTO W/SELECTSHIFT (STD) Tax DMV Fees & $597 processing fee are not included in vehicle prices shown and must be paid by the purchaser. Vehicle information is based off standard equipment and may vary from vehicle to vehicle. Call or email for complete vehicle specific informatio Chevrolet Ford Chrysler Dodge Jeep & Ram prices include current factory rebates and incentives some of which may require financing through the manufacturer and/or the customer must own/trade a certain make of vehicle. Residency restrictions apply see dealer for details and restrictions. All pricing and details are believed to be accurate but we do not warrant or guarantee such accuracy. The prices shown above may vary from region to region as will incentives and are subject to change. XL trim, Oxford White exterior and Medium Earth Gray interior. 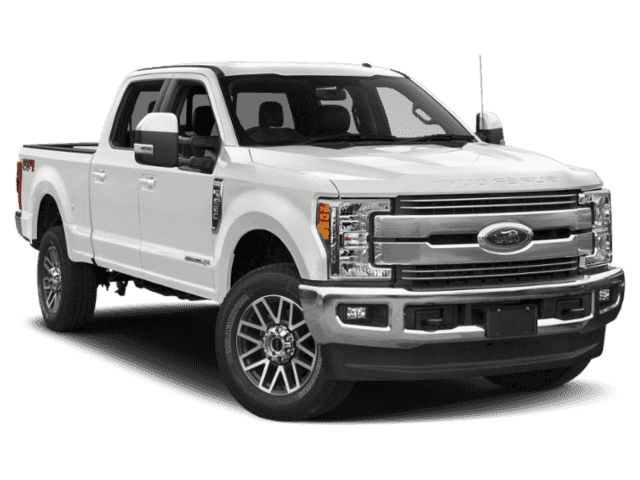 ELECTRONIC-LOCKING W/3.73 AXLE RATIO, TIRES: LT275/70RX18E OWL A/T (4), ENGINE: 6.2L 2-VALVE SOHC EFI NA V8 F... OXFORD WHITE, Back-Up Camera, 4x4, Hitch. CLICK ME! KEY FEATURES INCLUDE 4x4, Back-Up Camera, Trailer Hitch Electronic Stability Control, Brake Assist, 4-Wheel ABS, Vinyl Seats, Tire Pressure Monitoring System. OPTION PACKAGES STX APPEARANCE PACKAGE STX fender vent badge, Tires: LT275/65Rx18E BSW A/S, Chrome Rear Step Bumper, Chrome Front Bumper, Wheels: 18 Sparkle Silver Painted Cast Aluminum, bright hub covers/center ornaments, Radio: AM/FM Stereo/MP3, 6 speakers, SYNC Communications & Entertainment System, enhanced voice recognition w/911 Assist, 4.2 LCD center stack screen, AppLink, 1 smart-charging USB port and steering wheel audio controls, Bright Chrome Hub Covers & Center Ornaments, Bright Chrome Grille, Steering Wheel-Mounted Cruise Control, POWER EQUIPMENT GROUP Deletes passenger-side lock cylinder, upgraded door trim panel, Accessory Delay, Advanced Security Pack, SecuriLock Passive Anti-Theft System (PATS) and inclination/intrusion sensors, Remote Keyless Entry, Manual Telescoping/Folding Trailer Tow Mirrors, power heated glass, heated convex spotter mirror and integrated clearance lights and turn signal indicators, Power Front & Rear Seat Windows, 1-touch up/down driver/passenger window, Power Tailgate Lock, Power Locks, PLATFORM RUNNING BOARDS, FX4 OFF-ROAD PACKAGE Unique FX4 Off-Road Box Decal, Off-Road Specifically Tuned Shock Absorbers, front/rear, Hill Descent Control, Transfer Case & Fuel Tank Skid Plates, ELECTRONIC-LOCKING W/3.73 AXLE RATIO Tax DMV Fees & $597 processing fee are not included in vehicle prices shown and must be paid by the purchaser. Vehicle information is based off standard equipment and may vary from vehicle to vehicle. Call or email for complete vehicle specific informatio Chevrolet Ford Chrysler Dodge Jeep & Ram prices include current factory rebates and incentives some of which may require financing through the manufacturer and/or the customer must own/trade a certain make of vehicle. Residency restrictions apply see dealer for details and restrictions. All pricing and details are believed to be accurate but we do not warrant or guarantee such accuracy. The prices shown above may vary from region to region as will incentives and are subject to change. Agate Black Metallic exterior and Medium Earth Gray interior, XL trim. ENGINE: 6.2L 2-VALVE SOHC EFI NA V8 F... TIRES: LT275/70RX18E OWL A/T (4), REAR CHMSL CAMERA, POWER EQUIPMENT GROUP, AGATE BLACK METALLIC, 4x4, BOXLINK. AND MORE! KEY FEATURES INCLUDE 4x4, Back-Up Camera, Trailer Hitch Electronic Stability Control, Brake Assist, Vinyl Seats, 4-Wheel ABS, 4-Wheel Disc Brakes. OPTION PACKAGES STX APPEARANCE PACKAGE STX fender vent badge, Tires: LT275/65Rx18E BSW A/S, Chrome Rear Step Bumper, Chrome Front Bumper, Wheels: 18 Sparkle Silver Painted Cast Aluminum, bright hub covers/center ornaments, Radio: AM/FM Stereo/MP3, 6 speakers, SYNC Communications & Entertainment System, enhanced voice recognition w/911 Assist, 4.2 LCD center stack screen, AppLink, 1 smart-charging USB port and steering wheel audio controls, Bright Chrome Hub Covers & Center Ornaments, Bright Chrome Grille, Steering Wheel-Mounted Cruise Control, POWER EQUIPMENT GROUP Deletes passenger-side lock cylinder, upgraded door trim panel, Accessory Delay, Advanced Security Pack, SecuriLock Passive Anti-Theft System (PATS) and inclination/intrusion sensors, Remote Keyless Entry, Manual Telescoping/Folding Trailer Tow Mirrors, power heated glass, heated convex spotter mirror and integrated clearance lights and turn signal indicators, Power Front & Rear Seat Windows, 1-touch up/down driver/passenger window, Power Tailgate Lock, Power Locks, 6 ANGULAR CHROME STEP BAR, FX4 OFF-ROAD PACKAGE Unique FX4 Off-Road Box Decal, Off-Road Specifically Tuned Shock Absorbers, front/rear, Hill Descent Control, Transfer Case & Fuel Tank Skid Plates, ELECTRONIC-LOCKING W/3.73 AXLE RATIO, TAILGATE STEP & HANDLE Tax DMV Fees & $597 processing fee are not included in vehicle prices shown and must be paid by the purchaser. Vehicle information is based off standard equipment and may vary from vehicle to vehicle. Call or email for complete vehicle specific informatio Chevrolet Ford Chrysler Dodge Jeep & Ram prices include current factory rebates and incentives some of which may require financing through the manufacturer and/or the customer must own/trade a certain make of vehicle. Residency restrictions apply see dealer for details and restrictions. All pricing and details are believed to be accurate but we do not warrant or guarantee such accuracy. The prices shown above may vary from region to region as will incentives and are subject to change. TIRES: LT275/70RX18E OWL A/T (4), ELECTRONIC-LOCKING W/3.73 AXLE RATIO, ENGINE: 6.2L 2-VALVE SOHC EFI NA V8 F... 4x4, Back-Up Camera, Tow Hitch. Ruby Red Metallic Tinted Clearcoat exterior and Medium Earth Gray interior, XLT trim. CLICK ME! KEY FEATURES INCLUDE 4x4, Back-Up Camera, Trailer Hitch, Aluminum Wheels. Satellite Radio, Electronic Stability Control, Heated Mirrors, Brake Assist, 4-Wheel ABS. OPTION PACKAGES XLT VALUE PACKAGE Reverse Sensing System, SecuriCode Driver's Side Keyless Entry Keypad, Fog Lamps, 8-Way Power Driver's Seat, Autolock/Auto Unlock, Power-Adjustable Pedals, SYNC 3 COMMUNICATIONS & ENTERTAINMENT SYSTEM enhanced voice recognition, 8 LCD capacitive touch screen in center stack w/swipe capability, pinch-to-zoom capability included w/available voice-activated touchscreen navigation system, 4.2 productivity screen in IP cluster, AppLink, 911 Assist, Apple CarPlay and Android Auto and 2 smart charging USB ports, NOTE: SYNC AppLink lets you control some of your favorite compatible mobile apps w/your voice, It is compatible w/select smartphone platforms, Commands may vary by phone and AppLink software, 110V/400W Outlet, 1 in-dash mounted outlet, PLATFORM RUNNING BOARDS, POWER-SLIDING REAR-WINDOW W/DEFROST driver/passenger sun visors w/illuminated vanity covered mirrors, FX4 OFF-ROAD PACKAGE Unique FX4 Off-Road Box Decal, Off-Road Specifically Tuned Shock Absorbers, front/rear, Hill Descent Control, Transfer Case & Fuel Tank Skid Plates, RUBY RED METALLIC TINTED CLEARCOAT, ELECTRONIC-LOCKING W/3.73 AXLE RATIO, REVERSE SENSING SYSTEM, TIRES: LT275/70RX18E OWL Automatic Transmission (4) LT275/70Rx18E BSW Automatic Transmission spare tire, 110V/400W OUTLET, ADJUSTABLE PEDALS Tax DMV Fees & $597 processing fee are not included in vehicle prices shown and must be paid by the purchaser. Vehicle information is based off standard equipment and may vary from vehicle to vehicle. Call or email for complete vehicle specific informatio Chevrolet Ford Chrysler Dodge Jeep & Ram prices include current factory rebates and incentives some of which may require financing through the manufacturer and/or the customer must own/trade a certain make of vehicle. Residency restrictions apply see dealer for details and restrictions. All pricing and details are believed to be accurate but we do not warrant or guarantee such accuracy. The prices shown above may vary from region to region as will incentives and are subject to change. 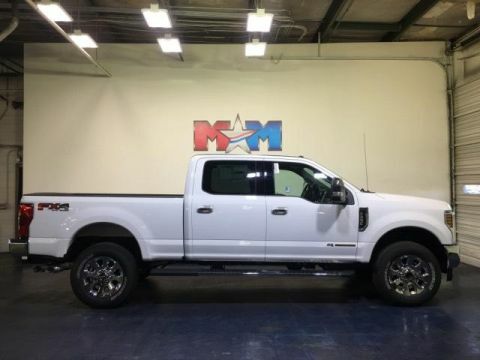 PRIVACY GLASS, ENGINE: 6.7L 4V OHV POWER STROKE V8 T... TIRES: LT275/70RX18E BSW A/T (4), ULTIMATE TRAILER TOW CAMERA SYSTEM, POWER EQUIPMENT GROUP, Hitch. XL trim, Oxford White exterior and Medium Earth Gray interior SEE MORE! KEY FEATURES INCLUDE 4x4 Electronic Stability Control, Brake Assist, Vinyl Seats, 4-Wheel ABS, Tire Pressure Monitoring System. 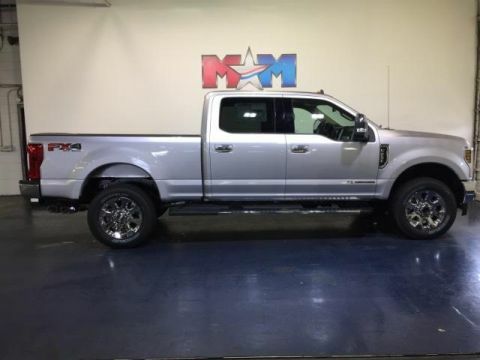 OPTION PACKAGES ENGINE: 6.7L 4V OHV POWER STROKE V8 TURBO DIESEL B20 manual push-button engine-exhaust braking and intelligent oil-life monitor, 34 Gallon Fuel Tank, 3.31 Axle Ratio, 175 Amp Heavy Duty Alternator, Dual 78-AH 750 CCA Batteries, STX APPEARANCE PACKAGE STX fender vent badge, Tires: LT275/65Rx18E BSW A/S, Chrome Rear Step Bumper, Chrome Front Bumper, Wheels: 18 Sparkle Silver Painted Cast Aluminum, bright hub covers/center ornaments, Radio: AM/FM Stereo/MP3, 6 speakers, SYNC Communications & Entertainment System, enhanced voice recognition w/911 Assist, 4.2 LCD center stack screen, AppLink, 1 smart-charging USB port and steering wheel audio controls, Bright Chrome Hub Covers & Center Ornaments, Bright Chrome Grille, Steering Wheel-Mounted Cruise Control, HIGH CAPACITY TRAILER TOW PACKAGE increased GCW from 23,500 lbs, to 25,700 lbs and upgraded axle, NOTE: Salesperson's Portfolio or Trailer Towing Guide should be consulted for specific trailer towing or camper limits and corresponding required equipment, axle ratios and model availability, See Supplemental Reference for vehicle height consideration, POWER EQUIPMENT GROUP Deletes passenger-side lock cylinder, upgraded door trim panel, Accessory Delay, Advanced Security Pack, SecuriLock Passive Anti-Theft System (PATS) and inclination/intrusion sensors, Remote Keyless Entry Tax DMV Fees & $597 processing fee are not included in vehicle prices shown and must be paid by the purchaser. Vehicle information is based off standard equipment and may vary from vehicle to vehicle. Call or email for complete vehicle specific informatio Chevrolet Ford Chrysler Dodge Jeep & Ram prices include current factory rebates and incentives some of which may require financing through the manufacturer and/or the customer must own/trade a certain make of vehicle. Residency restrictions apply see dealer for details and restrictions. All pricing and details are believed to be accurate but we do not warrant or guarantee such accuracy. The prices shown above may vary from region to region as will incentives and are subject to change. 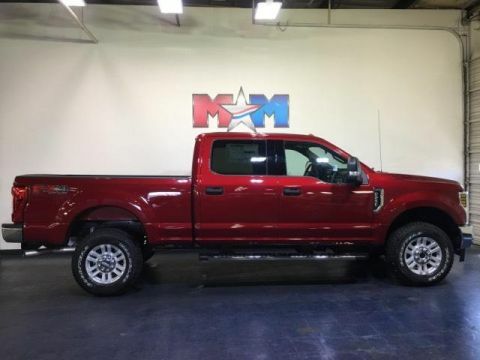 ELECTRONIC-LOCKING W/3.31 AXLE RATIO, ENGINE: 6.7L 4V OHV POWER STROKE V8 TURBO DIESEL B20, MAGNETIC METALLIC, TIRES: LT275/70RX18E OWL A/T (4), Tow Hitch. 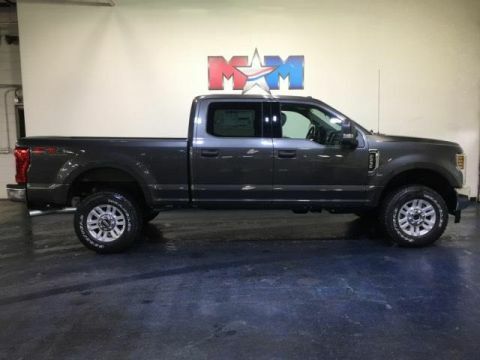 XLT trim, Magnetic Metallic exterior and Medium Earth Gray interior SEE MORE! KEY FEATURES INCLUDE 4x4, Back-Up Camera, Trailer Hitch, Aluminum Wheels. Satellite Radio, Privacy Glass, Electronic Stability Control, Heated Mirrors, Brake Assist. 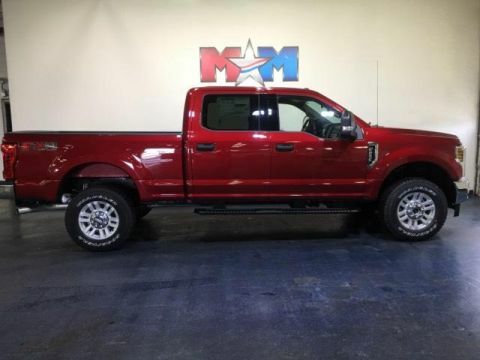 OPTION PACKAGES ENGINE: 6.7L 4V OHV POWER STROKE V8 TURBO DIESEL B20 manual push-button engine-exhaust braking and intelligent oil-life monitor, 34 Gallon Fuel Tank, 3.31 Axle Ratio, 175 Amp Heavy Duty Alternator, Dual 78-AH 750 CCA Batteries, XLT VALUE PACKAGE Reverse Sensing System, SecuriCode Driver's Side Keyless Entry Keypad, Fog Lamps, 8-Way Power Driver's Seat, Autolock/Auto Unlock, Power-Adjustable Pedals, 6 ANGULAR CHROME STEP BAR, SYNC 3 COMMUNICATIONS & ENTERTAINMENT SYSTEM enhanced voice recognition, 8 LCD capacitive touch screen in center stack w/swipe capability, pinch-to-zoom capability included w/available voice-activated touchscreen navigation system, 4.2 productivity screen in IP cluster, AppLink, 911 Assist, Apple CarPlay and Android Auto and 2 smart charging USB ports, NOTE: SYNC AppLink lets you control some of your favorite compatible mobile apps w/your voice, It is compatible w/select smartphone platforms, Commands may vary by phone and AppLink software, 110V/400W Outlet, 1 in-dash mounted outlet, FX4 OFF-ROAD PACKAGE Unique FX4 Off-Road Box Decal, Off-Road Specifically Tuned Shock Absorbers, front/rear, Hill Descent Control, Transfer Case & Fuel Tank Skid Plates, ELECTRONIC-LOCKING W/3.31 AXLE RATIO, REVERSE SENSING SYSTEM Tax DMV Fees & $597 processing fee are not included in vehicle prices shown and must be paid by the purchaser. Vehicle information is based off standard equipment and may vary from vehicle to vehicle. Call or email for complete vehicle specific informatio Chevrolet Ford Chrysler Dodge Jeep & Ram prices include current factory rebates and incentives some of which may require financing through the manufacturer and/or the customer must own/trade a certain make of vehicle. Residency restrictions apply see dealer for details and restrictions. All pricing and details are believed to be accurate but we do not warrant or guarantee such accuracy. The prices shown above may vary from region to region as will incentives and are subject to change. XLT trim, Oxford White exterior and Medium Earth Gray interior. TIRES: LT275/70RX18E OWL A/T (4), ELECTRONIC-LOCKING W/3.31 AXLE RATIO, OXFORD WHITE, REAR CHMSL CAMERA, SYNC 3 COMMUNICATIONS & ENTERTAINMENT... 4x4, Hitch. CLICK NOW! KEY FEATURES INCLUDE 4x4, Back-Up Camera, Trailer Hitch, Aluminum Wheels. Satellite Radio, Electronic Stability Control, Heated Mirrors, Brake Assist, 4-Wheel ABS. 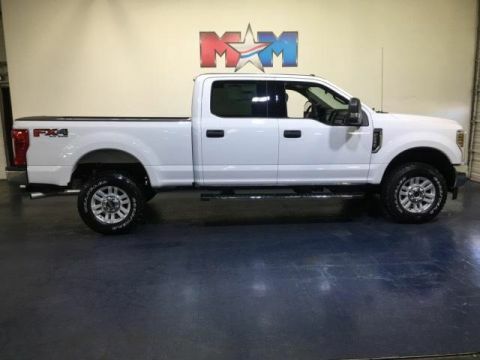 OPTION PACKAGES ENGINE: 6.7L 4V OHV POWER STROKE V8 TURBO DIESEL B20 manual push-button engine-exhaust braking and intelligent oil-life monitor, 34 Gallon Fuel Tank, 3.31 Axle Ratio, 175 Amp Heavy Duty Alternator, Dual 78-AH 750 CCA Batteries, XLT VALUE PACKAGE Reverse Sensing System, SecuriCode Driver's Side Keyless Entry Keypad, Fog Lamps, 8-Way Power Driver's Seat, Autolock/Auto Unlock, Power-Adjustable Pedals, 6 ANGULAR CHROME STEP BAR, 5TH WHEEL/GOOSENECK HITCH PREP PACKAGE 5 pickup bed attachment points w/plugs, 1 frame under-bed cross member and 1 integrated 7-pin connector on driver's side pickup bed wall, 5th wheel hitch compatibility: the 5th Wheel/Gooseneck Prep Package (53W) is compatible w/the factory orderable 5th Wheel Hitch Kits (15K and 15L) and dealer-installed Ford accessories 5th Wheel Hitch Kit by Reese - part #BC3Z-19D520-A (8ft box only), The prep package is also compatible w/Reese Signature Series 5th wheel hitch kits updated w/a new Leg Service Kit - part #BC3Z-A00A25-A (8ft box only), The 5th Wheel Hitch Kit (15K), 5th Wheel Hitch Kit (15L) and dealer-installed Ford accessories 5th Wheel Hitch Kit by Reese - part #BC3Z-19D520-A is not released to the short box (6.75ft box), NOTE: the short pickup box, SYNC 3 COMMUNICATIONS & ENTERTAINMENT SYSTEM enhanced voice recognition Tax DMV Fees & $597 processing fee are not included in vehicle prices shown and must be paid by the purchaser. Vehicle information is based off standard equipment and may vary from vehicle to vehicle. Call or email for complete vehicle specific informatio Chevrolet Ford Chrysler Dodge Jeep & Ram prices include current factory rebates and incentives some of which may require financing through the manufacturer and/or the customer must own/trade a certain make of vehicle. Residency restrictions apply see dealer for details and restrictions. All pricing and details are believed to be accurate but we do not warrant or guarantee such accuracy. The prices shown above may vary from region to region as will incentives and are subject to change. 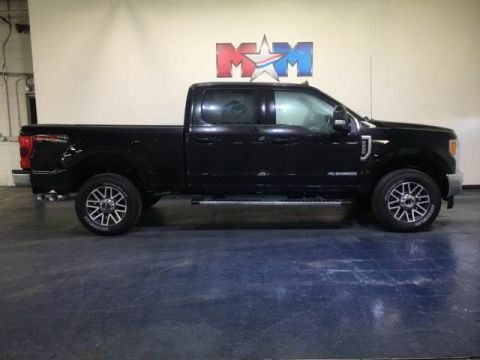 Navigation, Heated Seats, AGATE BLACK METALLIC, TIRES: LT275/70RX18E OWL A/T (4), REAR CHMSL CAMERA, ENGINE: 6.2L 2-VALVE SOHC EFI NA V8 F... 4x4. Agate Black Metallic exterior and Medium Earth Gray interior, XLT trim CLICK NOW! KEY FEATURES INCLUDE 4x4, Back-Up Camera, Trailer Hitch. Electronic Stability Control, Brake Assist, 4-Wheel ABS, 4-Wheel Disc Brakes, Tire Pressure Monitoring System. OPTION PACKAGES XLT PREMIUM PACKAGE 2 front chrome tow hooks, Reverse Sensing System, Wheels: 18 Chrome PVD Aluminum, SecuriCode Driver's Side Keyless Entry Keypad, Fog Lamps, Unique Chrome Mirror Caps, 6 Angular Chrome Step Bars, Body-Color Door Handles w/Chrome Insert, chrome tailgate handle, Chrome Exhaust Tip, Power-Adjustable Pedals, SYNC 3 Communications & Entertainment System, enhanced voice recognition, 8 LCD capacitive touch screen in center stack w/swipe capability, pinch-to-zoom capability included w/available voice-activated touchscreen navigation system, 4.2 productivity screen in IP cluster, AppLink, 911 Assist, Apple CarPlay and Android Auto and 2 smart charging USB ports, NOTE: SYNC AppLink lets you control some of your favorite compatible mobile apps w/your voice, It is compatible, VOICE-ACTIVATED NAVIGATION HD and SiriusXM Traffic and Travel Link, NOTE: SiriusXM Traffic and Travel Link includes a 5-year prepaid subscription, Services are not available in Alaska and Hawaii, 6 ANGULAR CHROME EXTENDED RUNNING BOARDS, POWER-SLIDING REAR-WINDOW W/DEFROST driver/passenger sun visors w/illuminated vanity covered mirrors, FX4 OFF-ROAD PACKAGE Unique FX4 Off-Road Box Decal, Off-Road Specifically Tuned Shock Absorbers, front/rear, Hill Descent Control, Transfer Case & Fuel Tank Skid Plates Tax DMV Fees & $597 processing fee are not included in vehicle prices shown and must be paid by the purchaser. Vehicle information is based off standard equipment and may vary from vehicle to vehicle. Call or email for complete vehicle specific informatio Chevrolet Ford Chrysler Dodge Jeep & Ram prices include current factory rebates and incentives some of which may require financing through the manufacturer and/or the customer must own/trade a certain make of vehicle. Residency restrictions apply see dealer for details and restrictions. All pricing and details are believed to be accurate but we do not warrant or guarantee such accuracy. The prices shown above may vary from region to region as will incentives and are subject to change. 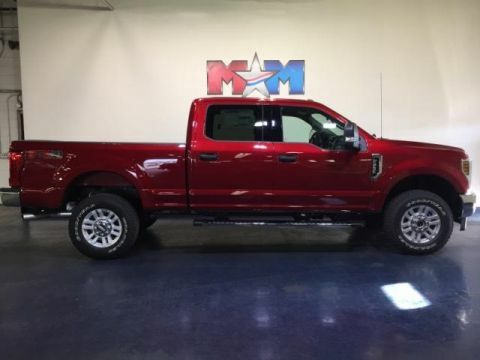 NAV, Heated Seats, RACE RED, ENGINE: 6.2L 2-VALVE SOHC EFI NA V8 F... TAILGATE STEP & HANDLE, REAR CHMSL CAMERA, TIRES: LT275/70RX18E OWL A/T (4), 4x4, Tow Hitch. Race Red exterior and Medium Earth Gray interior, XLT trim. SEE MORE! KEY FEATURES INCLUDE 4x4, Back-Up Camera, Trailer Hitch. Electronic Stability Control, Brake Assist, 4-Wheel ABS, Tire Pressure Monitoring System, 4-Wheel Disc Brakes. OPTION PACKAGES XLT PREMIUM PACKAGE 2 front chrome tow hooks, Reverse Sensing System, Wheels: 18 Chrome PVD Aluminum, SecuriCode Driver's Side Keyless Entry Keypad, Fog Lamps, Unique Chrome Mirror Caps, 6 Angular Chrome Step Bars, Body-Color Door Handles w/Chrome Insert, chrome tailgate handle, Chrome Exhaust Tip, Power-Adjustable Pedals, SYNC 3 Communications & Entertainment System, enhanced voice recognition, 8 LCD capacitive touch screen in center stack w/swipe capability, pinch-to-zoom capability included w/available voice-activated touchscreen navigation system, 4.2 productivity screen in IP cluster, AppLink, 911 Assist, Apple CarPlay and Android Auto and 2 smart charging USB ports, NOTE: SYNC AppLink lets you control some of your favorite compatible mobile apps w/your voice, It is compatible, VOICE-ACTIVATED NAVIGATION HD and SiriusXM Traffic and Travel Link, NOTE: SiriusXM Traffic and Travel Link includes a 5-year prepaid subscription, Services are not available in Alaska and Hawaii, 6 ANGULAR CHROME EXTENDED RUNNING BOARDS, POWER-SLIDING REAR-WINDOW W/DEFROST driver/passenger sun visors w/illuminated vanity covered mirrors, FX4 OFF-ROAD PACKAGE Unique FX4 Off-Road Box Decal, Off-Road Specifically Tuned Shock Absorbers, front/rear, Hill Descent Control Tax DMV Fees & $597 processing fee are not included in vehicle prices shown and must be paid by the purchaser. Vehicle information is based off standard equipment and may vary from vehicle to vehicle. Call or email for complete vehicle specific informatio Chevrolet Ford Chrysler Dodge Jeep & Ram prices include current factory rebates and incentives some of which may require financing through the manufacturer and/or the customer must own/trade a certain make of vehicle. Residency restrictions apply see dealer for details and restrictions. All pricing and details are believed to be accurate but we do not warrant or guarantee such accuracy. The prices shown above may vary from region to region as will incentives and are subject to change. 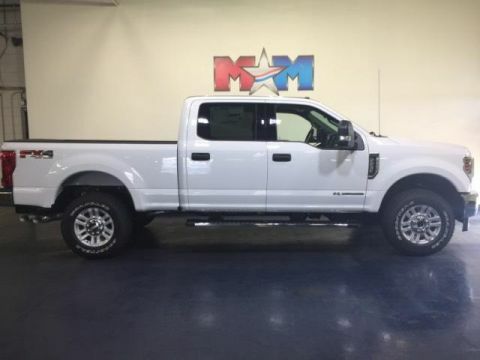 Heated Leather Seats, NAV, Tow Hitch, BLACK, LEATHER SEATING SURFACES 40/20/40 SPLIT BENCH SEAT, ELECTRONIC-LOCKING W/3.73 AXLE RATIO, OXFORD WHITE, iPod/MP3 Input. LARIAT trim, Oxford White exterior and Black interior. READ MORE! KEY FEATURES INCLUDE 4x4, Back-Up Camera, Premium Sound System, iPod/MP3 Input, Onboard Communications System, Trailer Hitch, Dual Zone A/C, WiFi Hotspot, Smart Device Integration MP3 Player, Keyless Entry, Privacy Glass, Steering Wheel Controls, Heated Mirrors. OPTION PACKAGES CHROME PACKAGE 2 front chrome tow hooks, Wheels: 18 Chrome PVD Aluminum, Unique Chrome Mirror Caps, 6 Angular Chrome Step Bars, Body-Color Door Handles w/Chrome Insert, Chrome Exhaust Tip, LARIAT VALUE PACKAGE Easy Entry/Exit Memory Driver's Seat Feature, PowerScope Trailer Tow Mirrors w/Memory, Remote Start System, Power Heated/Cooled Passenger Seat, LED Box Lighting, LED Center High-Mounted Stop Lamp (CHMSL), Power Heated/Cooled Driver Seat w/Memory, Memory Power-Adjustable Pedals, VOICE-ACTIVATED NAVIGATION HD and SiriusXM Traffic and Travel Link, NOTE: SiriusXM Traffic and Travel Link includes a 5-year prepaid subscription, Services are not available in Alaska and Hawaii, 6 ANGULAR CHROME EXTENDED RUNNING BOARDS, FX4 OFF-ROAD PACKAGE Unique FX4 Off-Road Box Decal, Off-Road Specifically Tuned Shock Absorbers, front/rear, Hill Descent Control, Transfer Case & Fuel Tank Skid Plates, ELECTRONIC-LOCKING W/3.73 AXLE RATIO, TAILGATE STEP & HANDLE, TIRES: LT275/70RX18E OWL Automatic Transmission (4) LT275/70Rx18E BSW Automatic Transmission spare tire, REMOTE START SYSTEM, UPFITTER SWITCHES (6) Located in overhead console, TRANSFER CASE & FUEL TANK SKID PLATES Tax DMV Fees & $597 processing fee are not included in vehicle prices shown and must be paid by the purchaser. Vehicle information is based off standard equipment and may vary from vehicle to vehicle. Call or email for complete vehicle specific informatio Chevrolet Ford Chrysler Dodge Jeep & Ram prices include current factory rebates and incentives some of which may require financing through the manufacturer and/or the customer must own/trade a certain make of vehicle. Residency restrictions apply see dealer for details and restrictions. All pricing and details are believed to be accurate but we do not warrant or guarantee such accuracy. The prices shown above may vary from region to region as will incentives and are subject to change. 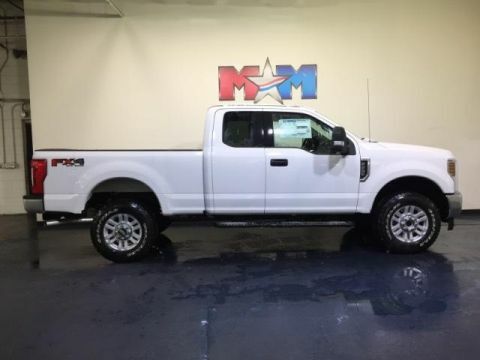 NAV, Leather Seats, Tow Hitch, ENGINE: 6.7L 4V OHV POWER STROKE V8 TURBO DIESEL B20, MEDIUM LIGHT CAMEL, FRONT LEATHER SEATING SURFACES 40/CONSOLE/40. Ingot Silver Metallic exterior and Medium Light Camel interior, LARIAT trim CLICK NOW! KEY FEATURES INCLUDE 4x4, Back-Up Camera, Premium Sound System, iPod/MP3 Input, Onboard Communications System, Trailer Hitch, Remote Engine Start, Dual Zone A/C MP3 Player, Privacy Glass, Keyless Entry, Steering Wheel Controls, Heated Mirrors. 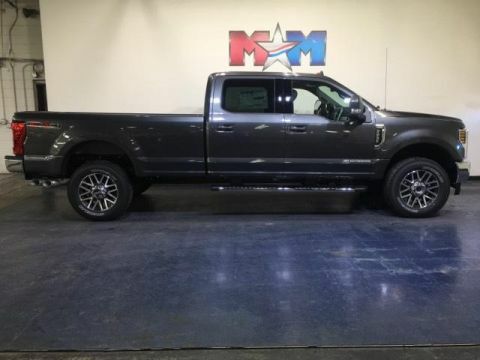 OPTION PACKAGES ENGINE: 6.7L 4V OHV POWER STROKE V8 TURBO DIESEL B20 manual push-button engine-exhaust braking and intelligent oil-life monitor, 34 Gallon Fuel Tank, Extra Heavy-Duty 220 Amp Alternator, 3.31 Axle Ratio, Dual 78-AH 750 CCA Batteries, WHEELS: 20 CHROME PVD ALUMINUM, CHROME PACKAGE 2 front chrome tow hooks, Wheels: 18 Chrome PVD Aluminum, Unique Chrome Mirror Caps, 6 Angular Chrome Step Bars, Body-Color Door Handles w/Chrome Insert, Chrome Exhaust Tip, VOICE-ACTIVATED NAVIGATION HD and SiriusXM Traffic and Travel Link, NOTE: SiriusXM Traffic and Travel Link includes a 5-year prepaid subscription, Services are not available in Alaska and Hawaii, 6 ANGULAR CHROME EXTENDED RUNNING BOARDS, FX4 OFF-ROAD PACKAGE Unique FX4 Off-Road Box Decal, Off-Road Specifically Tuned Shock Absorbers, front/rear, Hill Descent Control, Transfer Case & Fuel Tank Skid Plates, ELECTRONIC-LOCKING W/3.55 AXLE RATIO, UPFITTER SWITCHES (6) Located in overhead console, DUAL EXTRA HEAVY-DUTY ALTERNATORS (TOTAL 377-AMPS), TRANSFER CASE & FUEL TANK SKID PLATES, LED ROOF CLEARANCE LIGHTS, INGOT SILVER METALLIC, MEDIUM LIGHT CAMEL, FRONT LEATHER SEATING SURFACES 40/CONSOLE/40 10-way power driver and passenger seating (includes power lumbar) Tax DMV Fees & $597 processing fee are not included in vehicle prices shown and must be paid by the purchaser. Vehicle information is based off standard equipment and may vary from vehicle to vehicle. Call or email for complete vehicle specific informatio Chevrolet Ford Chrysler Dodge Jeep & Ram prices include current factory rebates and incentives some of which may require financing through the manufacturer and/or the customer must own/trade a certain make of vehicle. Residency restrictions apply see dealer for details and restrictions. All pricing and details are believed to be accurate but we do not warrant or guarantee such accuracy. The prices shown above may vary from region to region as will incentives and are subject to change. 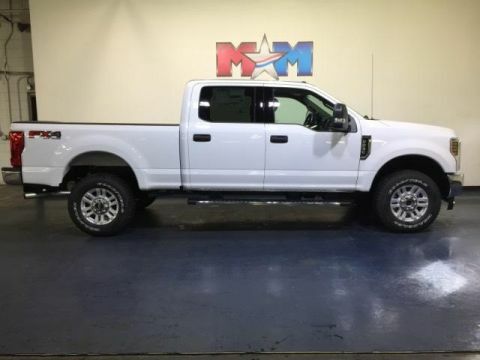 Navigation, Heated Leather Seats, ENGINE: 6.7L 4V OHV POWER STROKE V8 TURBO DIESEL B20, ELECTRONIC-LOCKING W/3.55 AXLE RATIO, ENGINE: 6.7L 4V OHV POWER STROKE V8 T... LARIAT trim, Oxford White exterior and Black interior. READ MORE! KEY FEATURES INCLUDE 4x4, Back-Up Camera, Premium Sound System, iPod/MP3 Input, Onboard Communications System, Trailer Hitch, Dual Zone A/C MP3 Player, Privacy Glass, Steering Wheel Controls, Electronic Stability Control, Heated Mirrors. 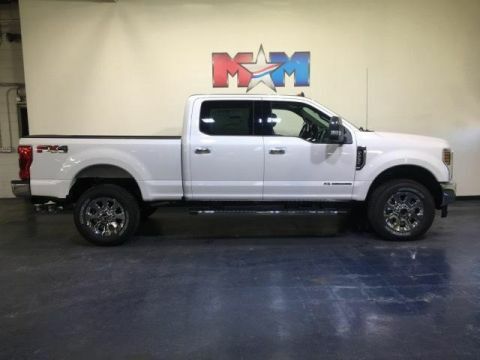 OPTION PACKAGES ENGINE: 6.7L 4V OHV POWER STROKE V8 TURBO DIESEL B20 manual push-button engine-exhaust braking and intelligent oil-life monitor, 34 Gallon Fuel Tank, Extra Heavy-Duty 220 Amp Alternator, 3.31 Axle Ratio, Dual 78-AH 750 CCA Batteries, LARIAT ULTIMATE PACKAGE Automatic High Beam, rain-sensing windshield wipers, Intelligent Access w/Push-Button Start, Easy Entry/Exit Memory Driver's Seat Feature, Remote Start System, Remote Tailgate Release, Ambient Lighting - Fixed Color, Memory Power-Adjustable Pedals, PowerScope Trailer Tow Mirrors w/Memory, Power Heated/Cooled Passenger Seat, Tailgate Step & Handle, Power Heated/Cooled Driver Seat w/Memory, LED Box Lighting, LED Center High-Mounted Stop Lamp (CHMSL), Power Telescoping/Tilt Steering Wheel/Column, heat, memory and audio controls, Voice-Activated Navigation, HD and SiriusXM Traffic and Travel Link, NOTE: SiriusXM Traffic and Travel Link includes a 5-year prepaid subscription, Services are not available in Alaska and Hawaii, WHEELS: 20 CHROME PVD ALUMINUM, CHROME PACKAGE 2 front chrome tow hooks, Wheels: 18 Chrome PVD Aluminum, Unique Chrome Mirror Caps, 6 Angular Chrome Step Bars, Body-Color Door Handles w/Chrome Insert, Chrome Exhaust Tip, 6 ANGULAR CHROME EXTENDED RUNNING BOARDS Tax DMV Fees & $597 processing fee are not included in vehicle prices shown and must be paid by the purchaser. Vehicle information is based off standard equipment and may vary from vehicle to vehicle. Call or email for complete vehicle specific informatio Chevrolet Ford Chrysler Dodge Jeep & Ram prices include current factory rebates and incentives some of which may require financing through the manufacturer and/or the customer must own/trade a certain make of vehicle. Residency restrictions apply see dealer for details and restrictions. All pricing and details are believed to be accurate but we do not warrant or guarantee such accuracy. The prices shown above may vary from region to region as will incentives and are subject to change. 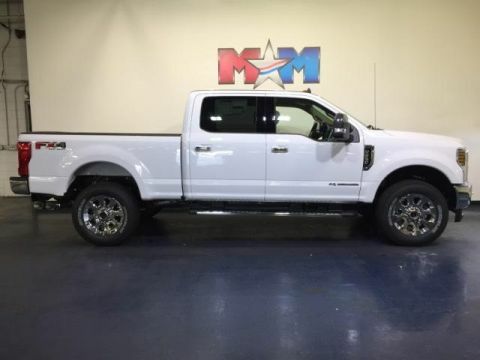 NAV, Heated Leather Seats, OXFORD WHITE, MEDIUM LIGHT CAMEL, FRONT LEATHER SEATING SURFACES 40/CONSOLE/40, ELECTRONIC-LOCKING W/3.55 AXLE RATIO, 4x4, Tow Hitch. LARIAT trim, Oxford White exterior and Medium Light Camel interior. CLICK NOW! KEY FEATURES INCLUDE 4x4, Back-Up Camera, Premium Sound System, iPod/MP3 Input, Onboard Communications System, Trailer Hitch, Dual Zone A/C. MP3 Player, Privacy Glass, Steering Wheel Controls, Electronic Stability Control, Heated Mirrors. 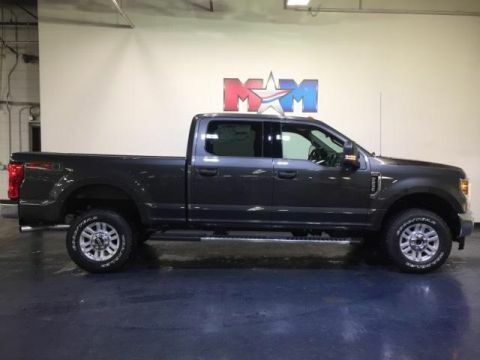 OPTION PACKAGES ENGINE: 6.7L 4V OHV POWER STROKE V8 TURBO DIESEL B20 manual push-button engine-exhaust braking and intelligent oil-life monitor, 34 Gallon Fuel Tank, Extra Heavy-Duty 220 Amp Alternator, 3.31 Axle Ratio, Dual 78-AH 750 CCA Batteries, LARIAT ULTIMATE PACKAGE Automatic High Beam, rain-sensing windshield wipers, Intelligent Access w/Push-Button Start, Easy Entry/Exit Memory Driver's Seat Feature, Remote Start System, Remote Tailgate Release, Ambient Lighting - Fixed Color, Memory Power-Adjustable Pedals, PowerScope Trailer Tow Mirrors w/Memory, Power Heated/Cooled Passenger Seat, Tailgate Step & Handle, Power Heated/Cooled Driver Seat w/Memory, LED Box Lighting, LED Center High-Mounted Stop Lamp (CHMSL), Power Telescoping/Tilt Steering Wheel/Column, heat, memory and audio controls, Voice-Activated Navigation, HD and SiriusXM Traffic and Travel Link, NOTE: SiriusXM Traffic and Travel Link includes a 5-year prepaid subscription, Services are not available in Alaska and Hawaii, WHEELS: 20 CHROME PVD ALUMINUM, CHROME PACKAGE 2 front chrome tow hooks, Wheels: 18 Chrome PVD Aluminum, Unique Chrome Mirror Caps, 6 Angular Chrome Step Bars, Body-Color Door Handles w/Chrome Insert, Chrome Exhaust Tip, 6 ANGULAR CHROME STEP BAR Tax DMV Fees & $597 processing fee are not included in vehicle prices shown and must be paid by the purchaser. Vehicle information is based off standard equipment and may vary from vehicle to vehicle. Call or email for complete vehicle specific informatio Chevrolet Ford Chrysler Dodge Jeep & Ram prices include current factory rebates and incentives some of which may require financing through the manufacturer and/or the customer must own/trade a certain make of vehicle. Residency restrictions apply see dealer for details and restrictions. All pricing and details are believed to be accurate but we do not warrant or guarantee such accuracy. The prices shown above may vary from region to region as will incentives and are subject to change. 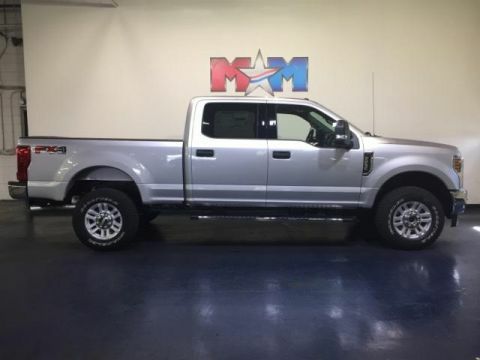 NAV, Heated Leather Seats, ENGINE: 6.7L 4V OHV POWER STROKE V8 TURBO DIESEL B20, ENGINE: 6.7L 4V OHV POWER STROKE V8 T... WHITE PLATINUM METALLIC TRI-COAT. White Platinum Metallic Tri-Coat exterior and Black interior, LARIAT trim CLICK NOW! KEY FEATURES INCLUDE 4x4, Back-Up Camera, Premium Sound System, iPod/MP3 Input, Onboard Communications System, Trailer Hitch, Dual Zone A/C, WiFi Hotspot, Smart Device Integration MP3 Player, Privacy Glass, Steering Wheel Controls, Heated Mirrors, Electronic Stability Control. 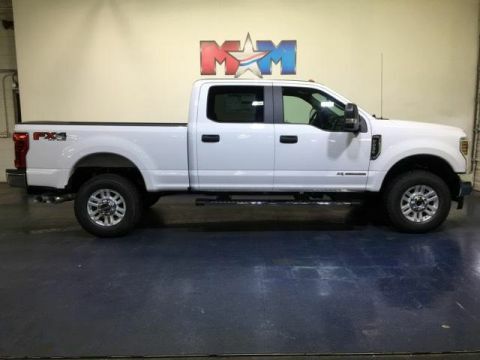 OPTION PACKAGES ENGINE: 6.7L 4V OHV POWER STROKE V8 TURBO DIESEL B20 manual push-button engine-exhaust braking and intelligent oil-life monitor, 34 Gallon Fuel Tank, Extra Heavy-Duty 220 Amp Alternator, 3.31 Axle Ratio, Dual 78-AH 750 CCA Batteries, LARIAT ULTIMATE PACKAGE Automatic High Beam, rain-sensing windshield wipers, Intelligent Access w/Push-Button Start, Easy Entry/Exit Memory Driver's Seat Feature, Remote Start System, Remote Tailgate Release, Ambient Lighting - Fixed Color, Memory Power-Adjustable Pedals, PowerScope Trailer Tow Mirrors w/Memory, Power Heated/Cooled Passenger Seat, Tailgate Step & Handle, Power Heated/Cooled Driver Seat w/Memory, LED Box Lighting, LED Center High-Mounted Stop Lamp (CHMSL), Power Telescoping/Tilt Steering Wheel/Column, heat, memory and audio controls, Voice-Activated Navigation, HD and SiriusXM Traffic and Travel Link, NOTE: SiriusXM Traffic and Travel Link includes a 5-year prepaid subscription, Services are not available in Alaska and Hawaii, WHEELS: 20 CHROME PVD ALUMINUM, CHROME PACKAGE 2 front chrome tow hooks, Wheels: 18 Chrome PVD Aluminum, Unique Chrome Mirror Caps, 6 Angular Chrome Step Bars, Body-Color Door Handles w/Chrome Insert, Chrome Exhaust Tip Tax DMV Fees & $597 processing fee are not included in vehicle prices shown and must be paid by the purchaser. Vehicle information is based off standard equipment and may vary from vehicle to vehicle. Call or email for complete vehicle specific informatio Chevrolet Ford Chrysler Dodge Jeep & Ram prices include current factory rebates and incentives some of which may require financing through the manufacturer and/or the customer must own/trade a certain make of vehicle. Residency restrictions apply see dealer for details and restrictions. All pricing and details are believed to be accurate but we do not warrant or guarantee such accuracy. The prices shown above may vary from region to region as will incentives and are subject to change. 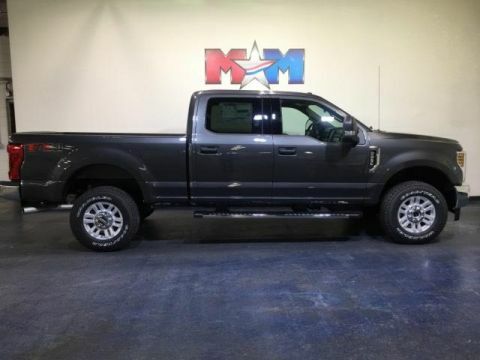 Navigation, Heated Leather Seats, BLACK, LEATHER SEATING SURFACES 40/20/40 SPLIT BENCH SEAT, ENGINE: 6.7L 4V OHV POWER STROKE V8 TURBO DIESEL B20, LARIAT ULTIMATE PACKAGE. Agate Black Metallic exterior and Black interior, LARIAT trim AND MORE! KEY FEATURES INCLUDE 4x4, Back-Up Camera, Premium Sound System, iPod/MP3 Input, Onboard Communications System, Trailer Hitch, Dual Zone A/C, WiFi Hotspot, Smart Device Integration. MP3 Player, Privacy Glass, Steering Wheel Controls, Heated Mirrors, Electronic Stability Control. 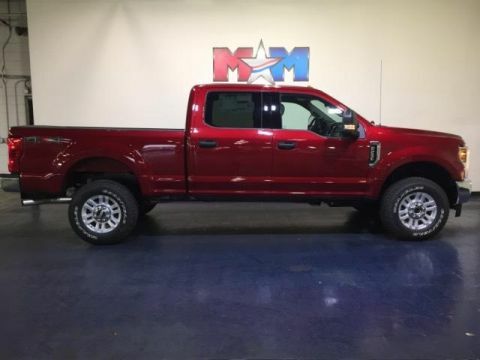 OPTION PACKAGES ENGINE: 6.7L 4V OHV POWER STROKE V8 TURBO DIESEL B20 manual push-button engine-exhaust braking and intelligent oil-life monitor, 34 Gallon Fuel Tank, Extra Heavy-Duty 220 Amp Alternator, 3.31 Axle Ratio, Dual 78-AH 750 CCA Batteries, LARIAT ULTIMATE PACKAGE Automatic High Beam, rain-sensing windshield wipers, Intelligent Access w/Push-Button Start, Easy Entry/Exit Memory Driver's Seat Feature, Remote Start System, Remote Tailgate Release, Ambient Lighting - Fixed Color, Memory Power-Adjustable Pedals, PowerScope Trailer Tow Mirrors w/Memory, Power Heated/Cooled Passenger Seat, Tailgate Step & Handle, Power Heated/Cooled Driver Seat w/Memory, LED Box Lighting, LED Center High-Mounted Stop Lamp (CHMSL), Power Telescoping/Tilt Steering Wheel/Column, heat, memory and audio controls, Voice-Activated Navigation, HD and SiriusXM Traffic and Travel Link, NOTE: SiriusXM Traffic and Travel Link includes a 5-year prepaid subscription, Services are not available in Alaska and Hawaii, WHEELS: 20 BRIGHT MACHINED CAST ALUMINUM magnetic painted pockets and bright hub covers/center ornaments, QUAD BEAM LED HEADLAMPS & LED TAILLAMPS LED fog lamps and LED Center High-Mounted Stop Lamp (CHMSL) Tax DMV Fees & $597 processing fee are not included in vehicle prices shown and must be paid by the purchaser. Vehicle information is based off standard equipment and may vary from vehicle to vehicle. Call or email for complete vehicle specific informatio Chevrolet Ford Chrysler Dodge Jeep & Ram prices include current factory rebates and incentives some of which may require financing through the manufacturer and/or the customer must own/trade a certain make of vehicle. Residency restrictions apply see dealer for details and restrictions. All pricing and details are believed to be accurate but we do not warrant or guarantee such accuracy. The prices shown above may vary from region to region as will incentives and are subject to change. 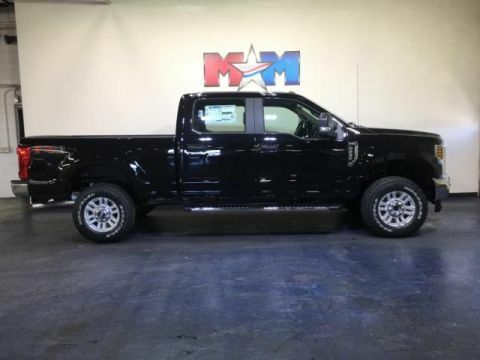 NAV, Heated Leather Seats, BLACK, FRONT LEATHER SEATING SURFACES 40/CONSOLE/40, ENGINE: 6.7L 4V OHV POWER STROKE V8 T... ELECTRONIC-LOCKING W/3.55 AXLE RATIO, 4x4. Magnetic Metallic exterior and Black interior, LARIAT trim. READ MORE! KEY FEATURES INCLUDE 4x4, Back-Up Camera, Premium Sound System, iPod/MP3 Input, Onboard Communications System, Dual Zone A/C, Smart Device Integration, WiFi Hotspot MP3 Player, Privacy Glass, Steering Wheel Controls, Electronic Stability Control, Heated Mirrors. 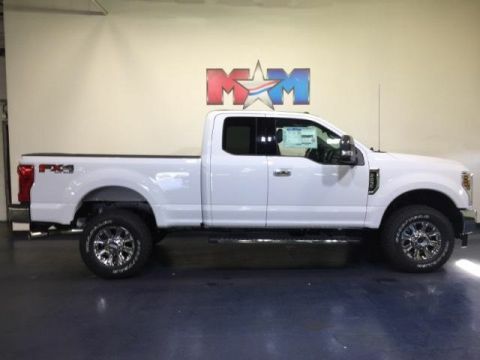 OPTION PACKAGES ENGINE: 6.7L 4V OHV POWER STROKE V8 TURBO DIESEL B20 manual push-button engine-exhaust braking and intelligent oil-life monitor, Extra Heavy-Duty 220 Amp Alternator, 3.31 Axle Ratio, Dual 78-AH 750 CCA Batteries, 48 Gallon Fuel Tank, LARIAT ULTIMATE PACKAGE Automatic High Beam, rain-sensing windshield wipers, Intelligent Access w/Push-Button Start, Easy Entry/Exit Memory Driver's Seat Feature, Remote Start System, Remote Tailgate Release, Ambient Lighting - Fixed Color, Memory Power-Adjustable Pedals, PowerScope Trailer Tow Mirrors w/Memory, Power Heated/Cooled Passenger Seat, Tailgate Step & Handle, Power Heated/Cooled Driver Seat w/Memory, LED Box Lighting, LED Center High-Mounted Stop Lamp (CHMSL), Power Telescoping/Tilt Steering Wheel/Column, heat, memory and audio controls, Voice-Activated Navigation, HD and SiriusXM Traffic and Travel Link, NOTE: SiriusXM Traffic and Travel Link includes a 5-year prepaid subscription, Services are not available in Alaska and Hawaii, WHEELS: 20 BRIGHT MACHINED CAST ALUMINUM magnetic painted pockets and bright hub covers/center ornaments, HIGH CAPACITY TRAILER TOW PACKAGE increased GCW from 23,500 lbs, to 25,700 lbs and upgraded axle Tax DMV Fees & $597 processing fee are not included in vehicle prices shown and must be paid by the purchaser. Vehicle information is based off standard equipment and may vary from vehicle to vehicle. Call or email for complete vehicle specific informatio Chevrolet Ford Chrysler Dodge Jeep & Ram prices include current factory rebates and incentives some of which may require financing through the manufacturer and/or the customer must own/trade a certain make of vehicle. Residency restrictions apply see dealer for details and restrictions. All pricing and details are believed to be accurate but we do not warrant or guarantee such accuracy. The prices shown above may vary from region to region as will incentives and are subject to change. 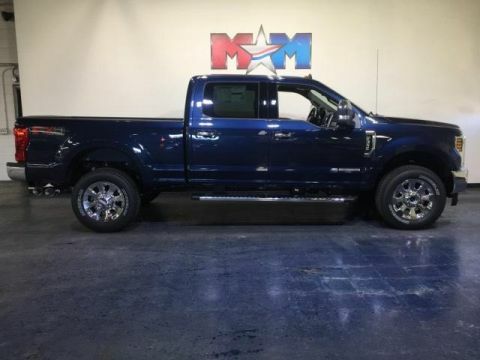 Navigation, Heated Leather Seats, ELECTRONIC-LOCKING W/3.55 AXLE RATIO, BLACK, LEATHER SEATING SURFACES 40/20/40 SPLIT BENCH SEAT, BLUE JEANS METALLIC, 4x4. LARIAT trim, Blue Jeans Metallic exterior and Black interior. CLICK NOW! KEY FEATURES INCLUDE 4x4, Premium Sound System, iPod/MP3 Input, Onboard Communications System, Trailer Hitch, Dual Zone A/C, Smart Device Integration, WiFi Hotspot MP3 Player, Privacy Glass, Steering Wheel Controls, Heated Mirrors, Electronic Stability Control. 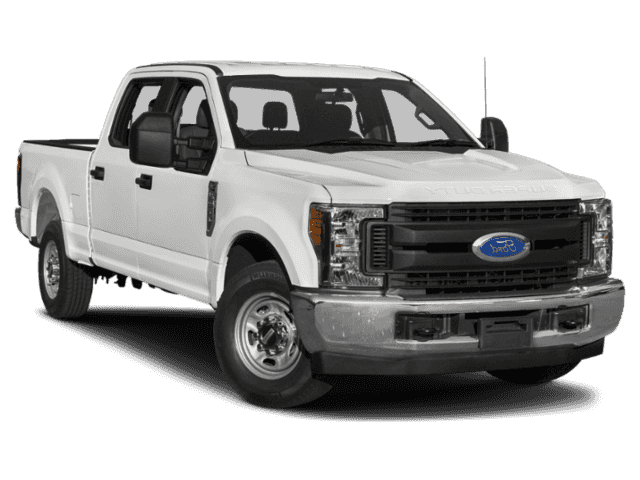 OPTION PACKAGES ENGINE: 6.7L 4V OHV POWER STROKE V8 TURBO DIESEL B20 manual push-button engine-exhaust braking and intelligent oil-life monitor, GVWR: 11,500 lb Payload Package, Dual Extra Heavy-Duty Alternators (Total 377-Amps), 34 Gallon Fuel Tank, Extra Heavy-Duty 220 Amp Alternator, 3.31 Axle Ratio, Dual 78-AH 750 CCA Batteries, LARIAT ULTIMATE PACKAGE Automatic High Beam, rain-sensing windshield wipers, Intelligent Access w/Push-Button Start, Easy Entry/Exit Memory Driver's Seat Feature, Remote Start System, Remote Tailgate Release, Ambient Lighting - Fixed Color, Memory Power-Adjustable Pedals, PowerScope Trailer Tow Mirrors w/Memory, Power Heated/Cooled Passenger Seat, Tailgate Step & Handle, Power Heated/Cooled Driver Seat w/Memory, LED Box Lighting, LED Center High-Mounted Stop Lamp (CHMSL), Power Telescoping/Tilt Steering Wheel/Column, heat, memory and audio controls, Voice-Activated Navigation, HD and SiriusXM Traffic and Travel Link, NOTE: SiriusXM Traffic and Travel Link includes a 5-year prepaid subscription, Services are not available in Alaska and Hawaii, WHEELS: 20 CHROME PVD ALUMINUM W/DIESEL, CHROME PACKAGE 2 front chrome tow hooks, Wheels: 18 Chrome PVD Aluminum, Unique Chrome Mirror Caps Tax DMV Fees & $597 processing fee are not included in vehicle prices shown and must be paid by the purchaser. Vehicle information is based off standard equipment and may vary from vehicle to vehicle. Call or email for complete vehicle specific informatio Chevrolet Ford Chrysler Dodge Jeep & Ram prices include current factory rebates and incentives some of which may require financing through the manufacturer and/or the customer must own/trade a certain make of vehicle. Residency restrictions apply see dealer for details and restrictions. All pricing and details are believed to be accurate but we do not warrant or guarantee such accuracy. The prices shown above may vary from region to region as will incentives and are subject to change. 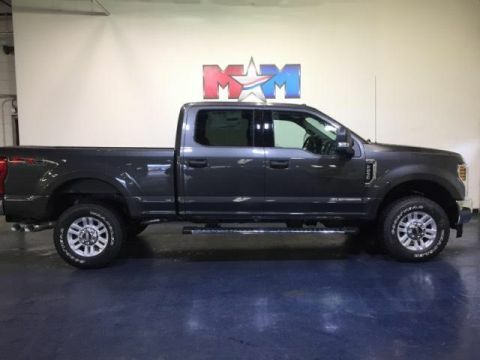 Heated Leather Seats, Nav System, INGOT SILVER METALLIC, ELECTRONIC-LOCKING W/3.55 AXLE RATIO, ENGINE: 6.7L 4V OHV POWER STROKE V8 T... REMOTE START SYSTEM. Ingot Silver Metallic exterior and Black interior, LARIAT trim. READ MORE! KEY FEATURES INCLUDE 4x4, Premium Sound System, iPod/MP3 Input, Onboard Communications System, Dual Zone A/C, Smart Device Integration, WiFi Hotspot. MP3 Player, Privacy Glass, Steering Wheel Controls, Electronic Stability Control, Heated Mirrors. 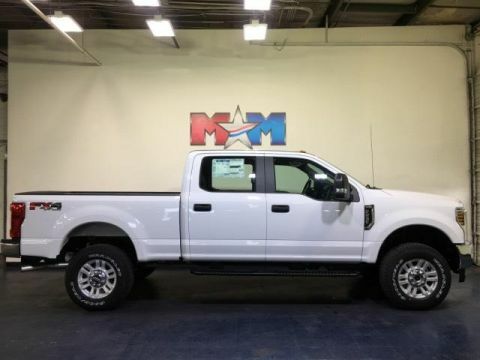 OPTION PACKAGES ENGINE: 6.7L 4V OHV POWER STROKE V8 TURBO DIESEL B20 manual push-button engine-exhaust braking and intelligent oil-life monitor, 34 Gallon Fuel Tank, Extra Heavy-Duty 220 Amp Alternator, 3.31 Axle Ratio, Dual 78-AH 750 CCA Batteries, LARIAT ULTIMATE PACKAGE Automatic High Beam, rain-sensing windshield wipers, Intelligent Access w/Push-Button Start, Easy Entry/Exit Memory Driver's Seat Feature, Remote Start System, Remote Tailgate Release, Ambient Lighting - Fixed Color, Memory Power-Adjustable Pedals, PowerScope Trailer Tow Mirrors w/Memory, Power Heated/Cooled Passenger Seat, Tailgate Step & Handle, Power Heated/Cooled Driver Seat w/Memory, LED Box Lighting, LED Center High-Mounted Stop Lamp (CHMSL), Power Telescoping/Tilt Steering Wheel/Column, heat, memory and audio controls, Voice-Activated Navigation, HD and SiriusXM Traffic and Travel Link, NOTE: SiriusXM Traffic and Travel Link includes a 5-year prepaid subscription, Services are not available in Alaska and Hawaii, TOW TECHNOLOGY BUNDLE Adaptive Steering, Ultimate Trailer Tow Camera System, 360 degree camera system and trailer reverse guidance, Display appears in center-stack screen, NOTE: Does not include customer placed trailer camera Tax DMV Fees & $597 processing fee are not included in vehicle prices shown and must be paid by the purchaser. Vehicle information is based off standard equipment and may vary from vehicle to vehicle. Call or email for complete vehicle specific informatio Chevrolet Ford Chrysler Dodge Jeep & Ram prices include current factory rebates and incentives some of which may require financing through the manufacturer and/or the customer must own/trade a certain make of vehicle. Residency restrictions apply see dealer for details and restrictions. All pricing and details are believed to be accurate but we do not warrant or guarantee such accuracy. The prices shown above may vary from region to region as will incentives and are subject to change.